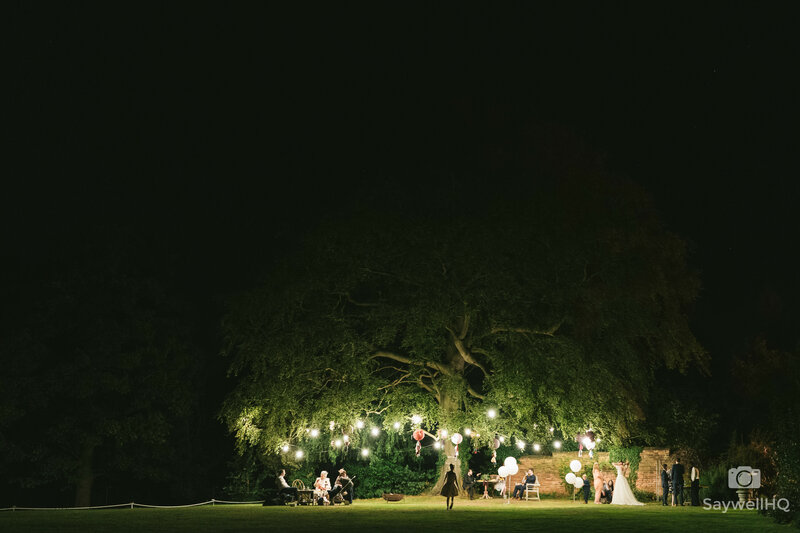 I’ve wanted to photograph a wedding at East Bridgford Hill for a long time, and late last summer I got the chance and it didn’t disappoint! 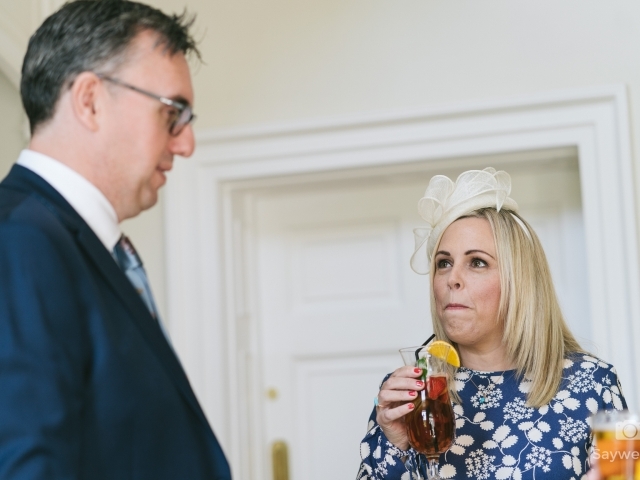 Lindsay and Nick wanted a nice relaxing wedding, neither were fussed about being the centre of attention, especially Lindsay! 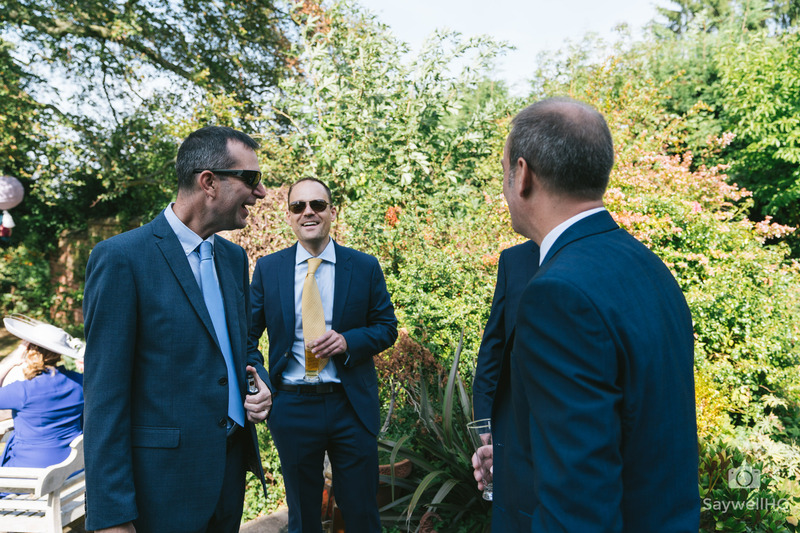 The guys only wanted coverage from the guest arrivals through to the disco – so no getting ready shots. 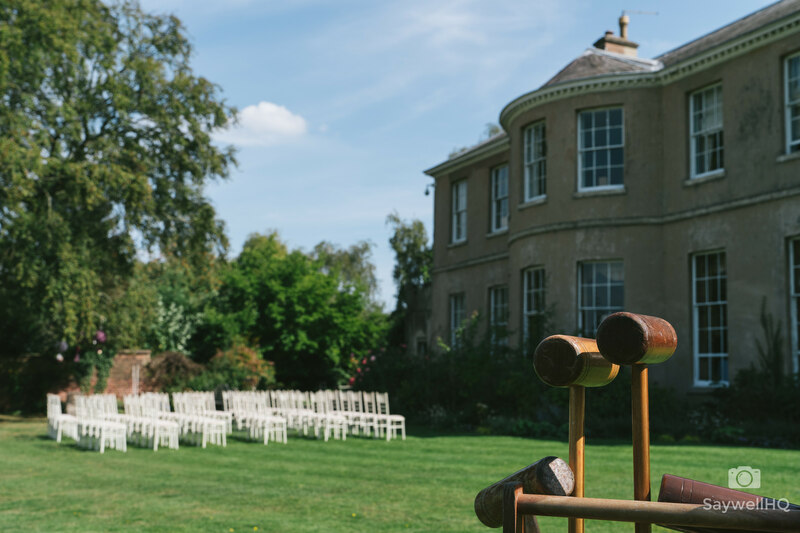 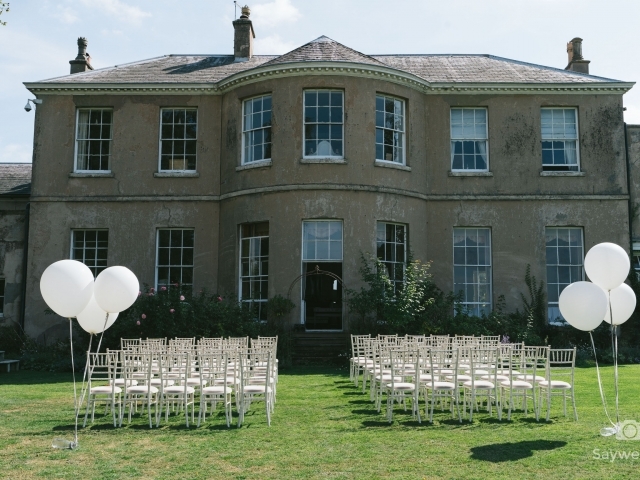 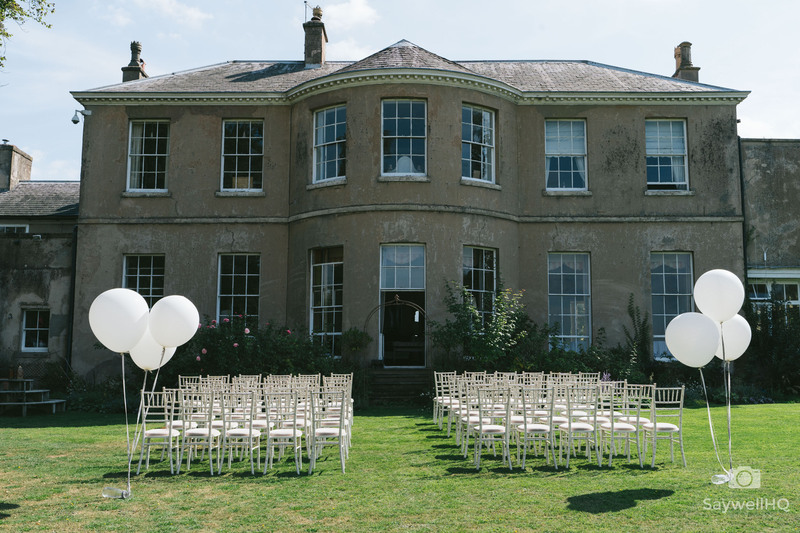 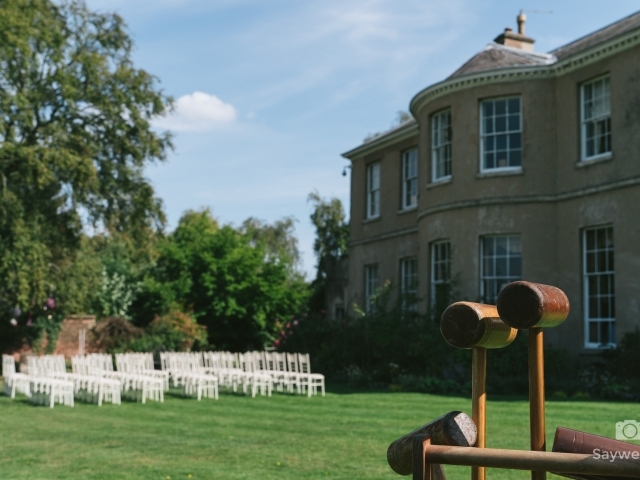 My day started at East Bridgford Hill with Nick and his best man making the final adjustments to the wedding breakfast seating plan, layout out the summer games in the garden and then moving the chairs outside for the guests to watch the wedding ceremony. 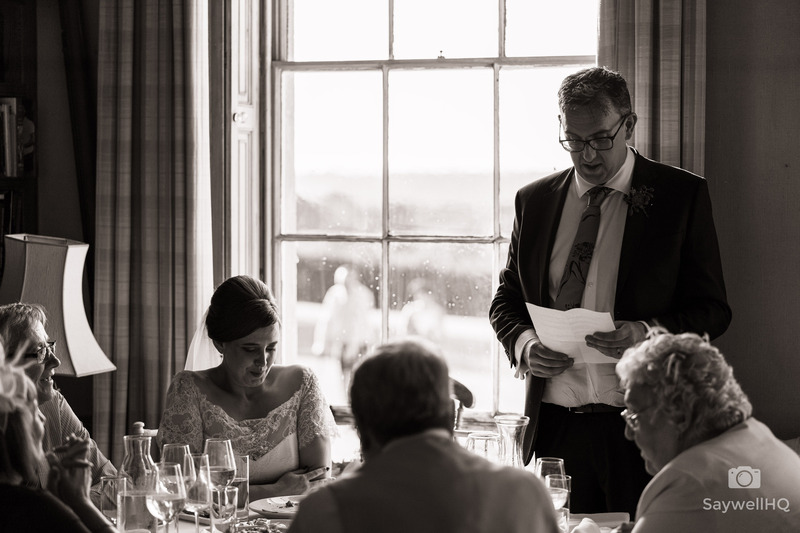 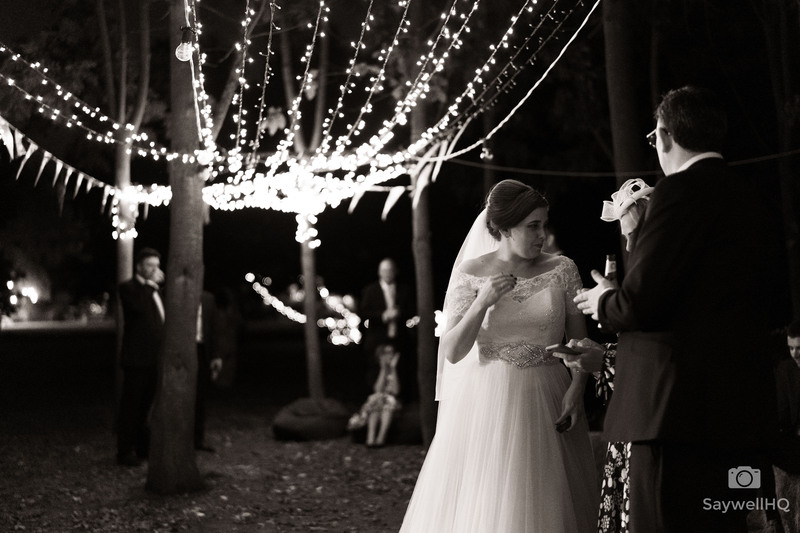 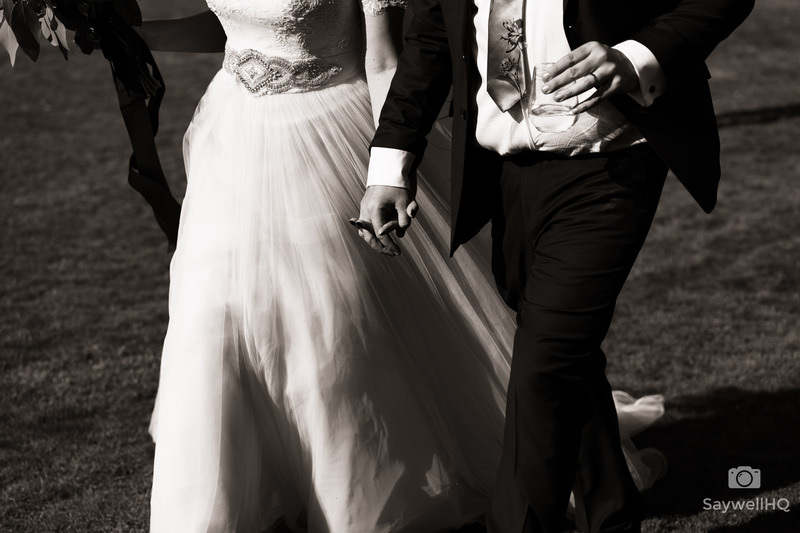 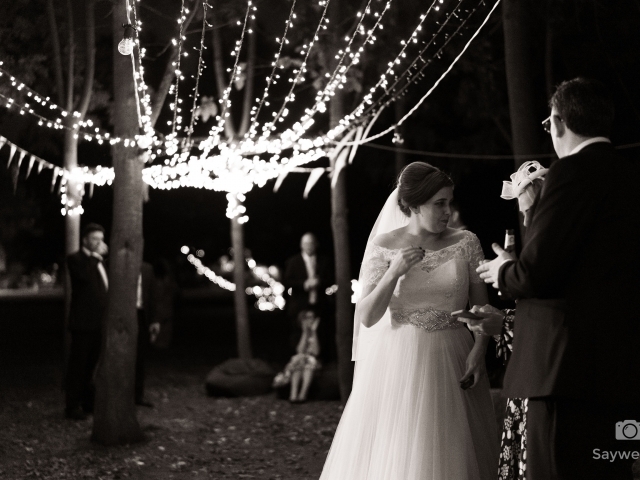 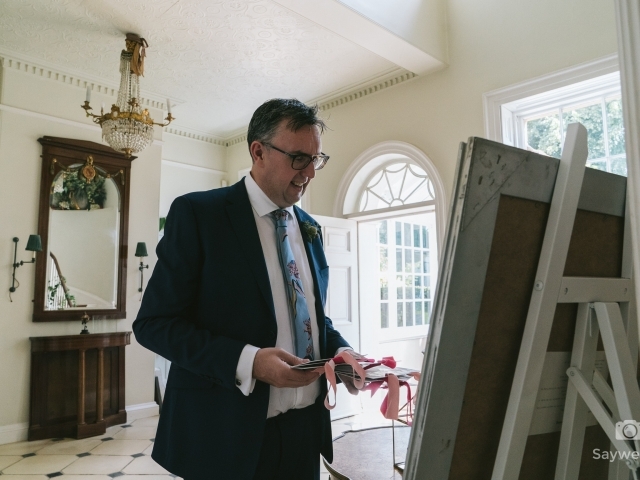 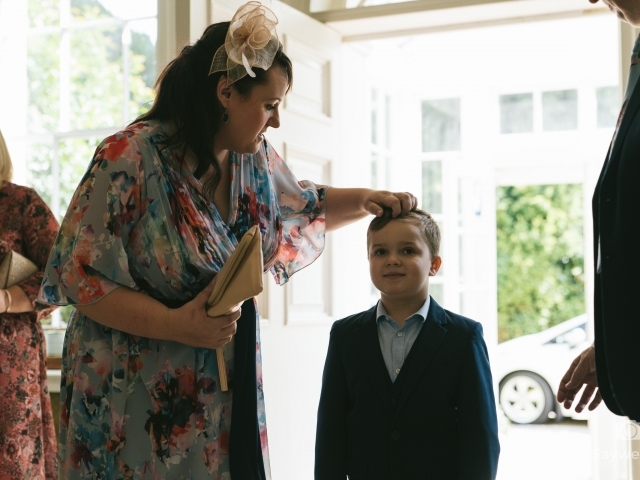 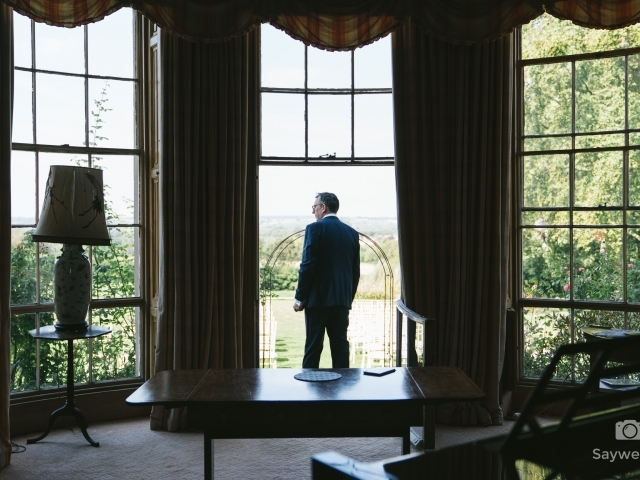 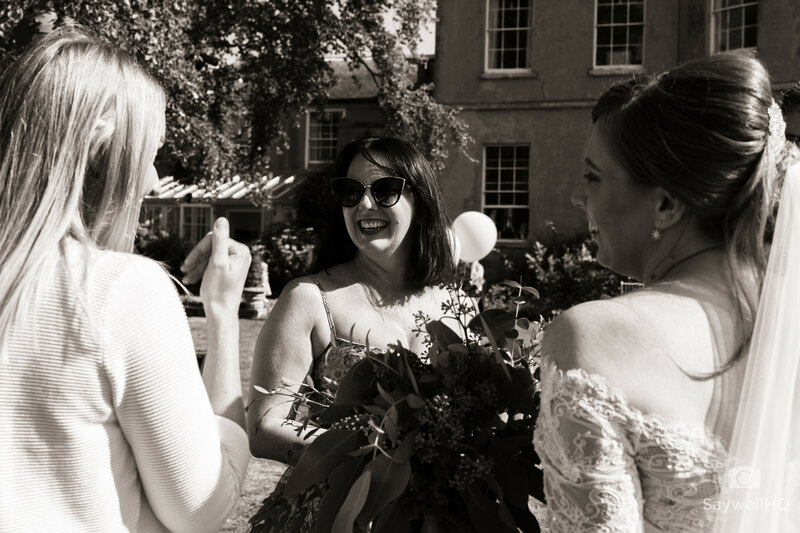 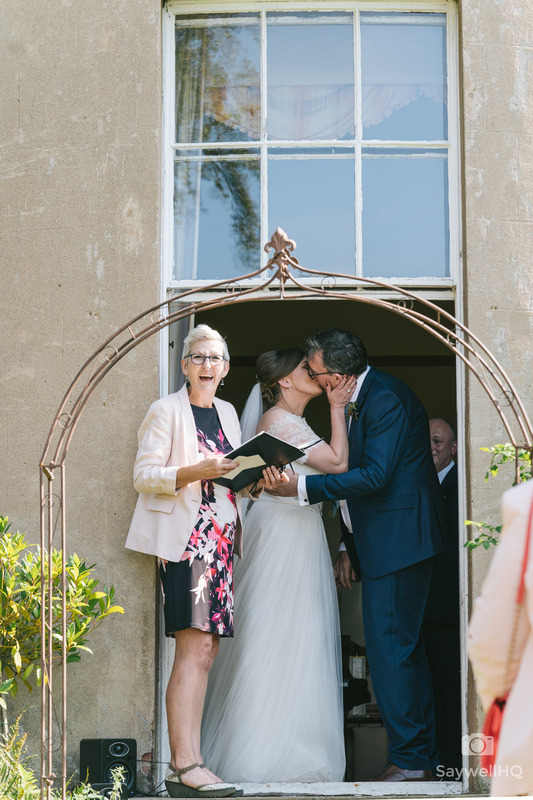 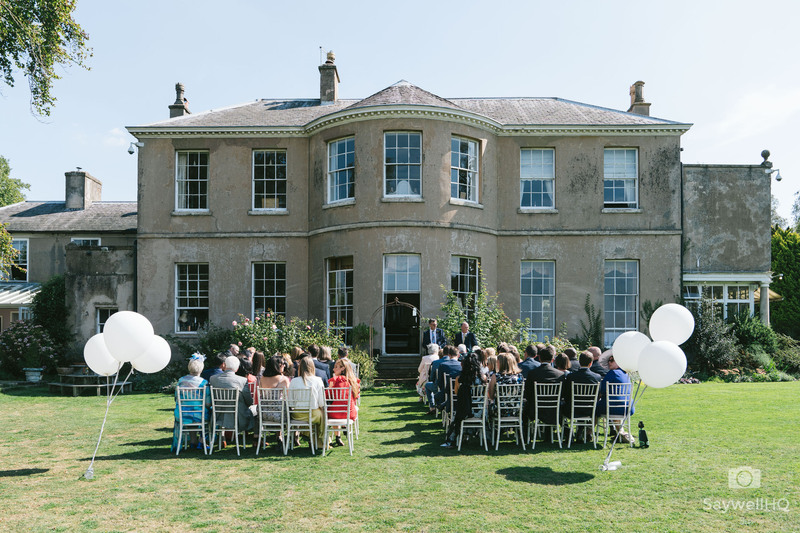 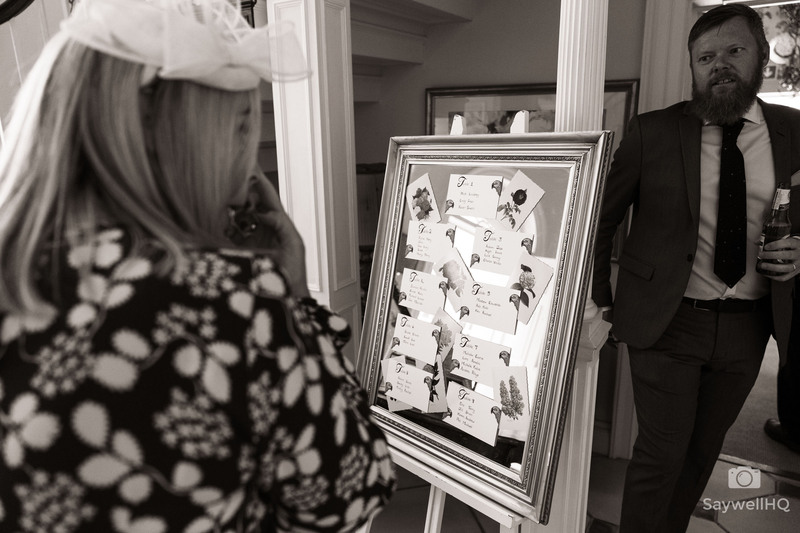 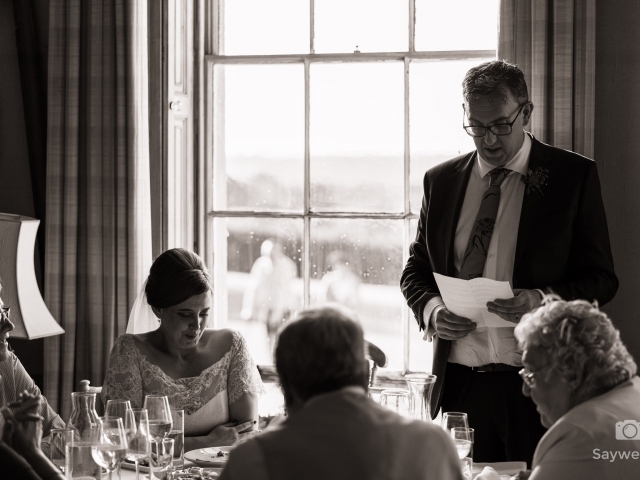 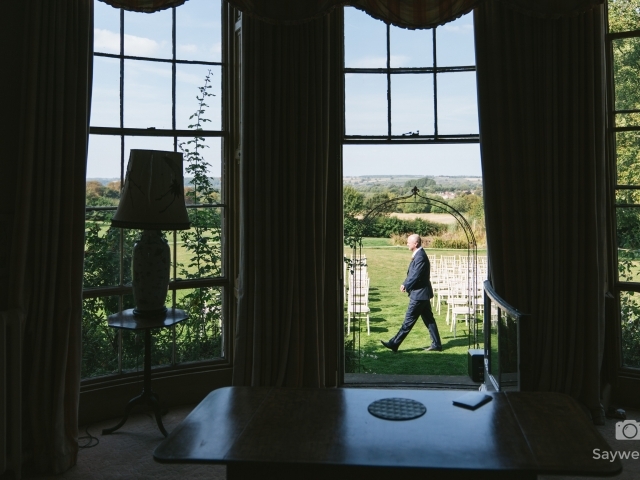 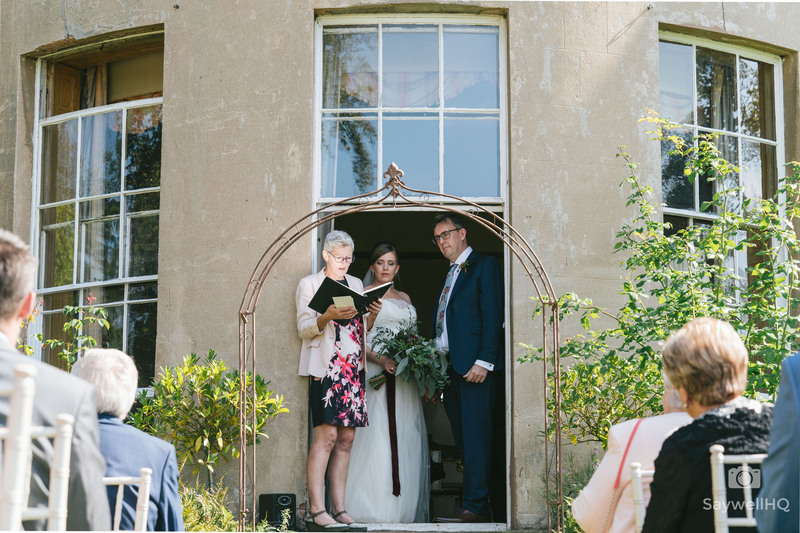 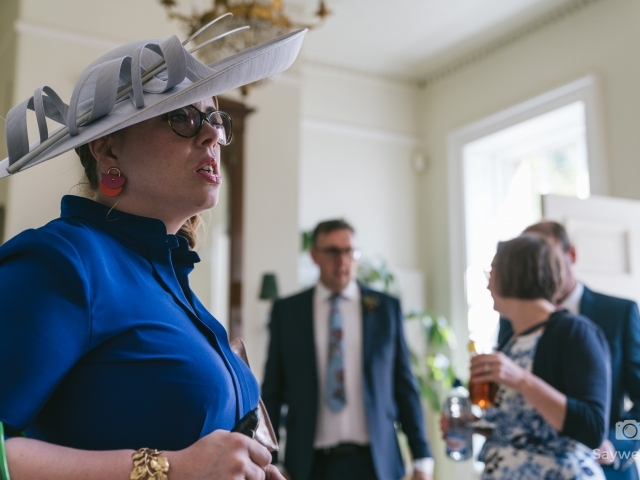 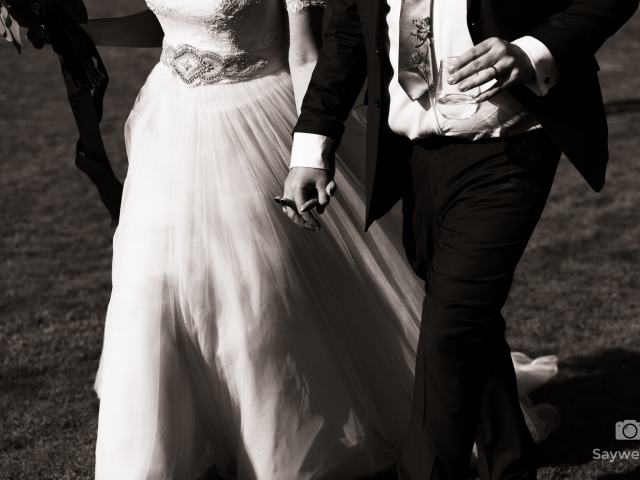 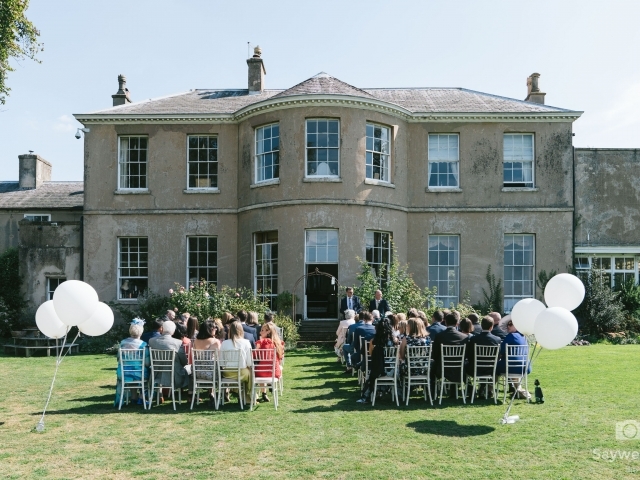 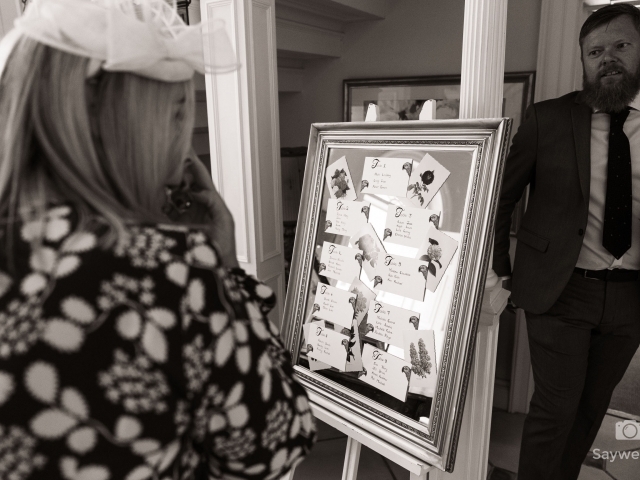 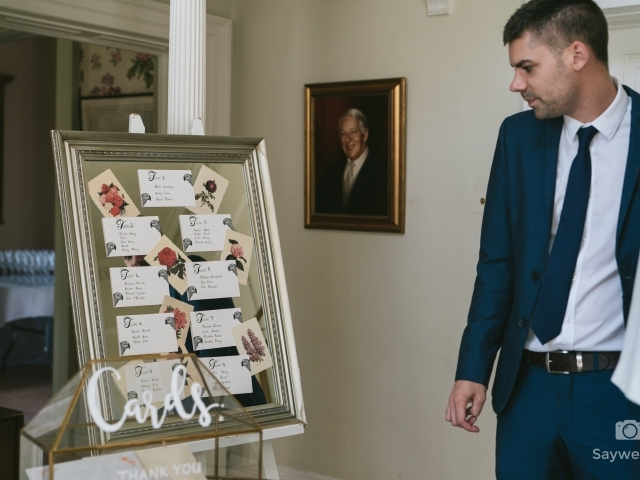 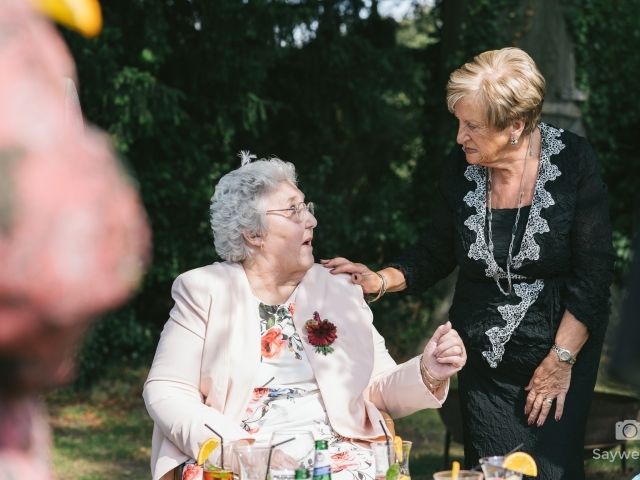 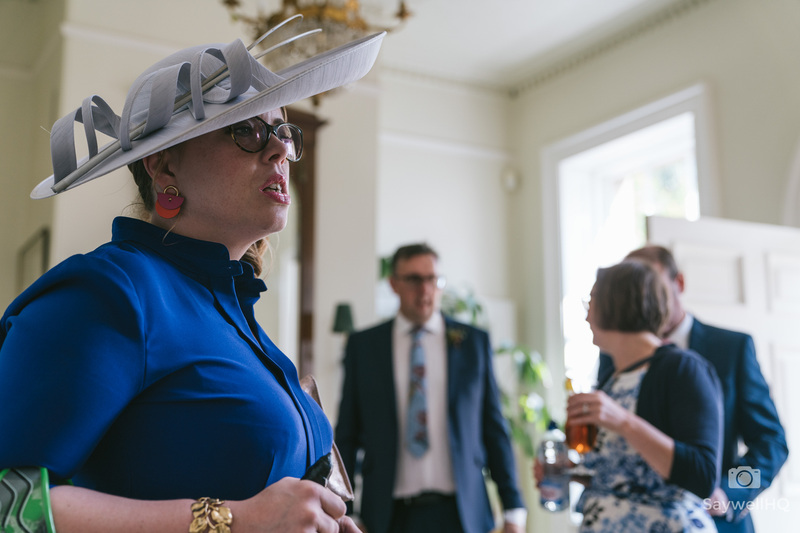 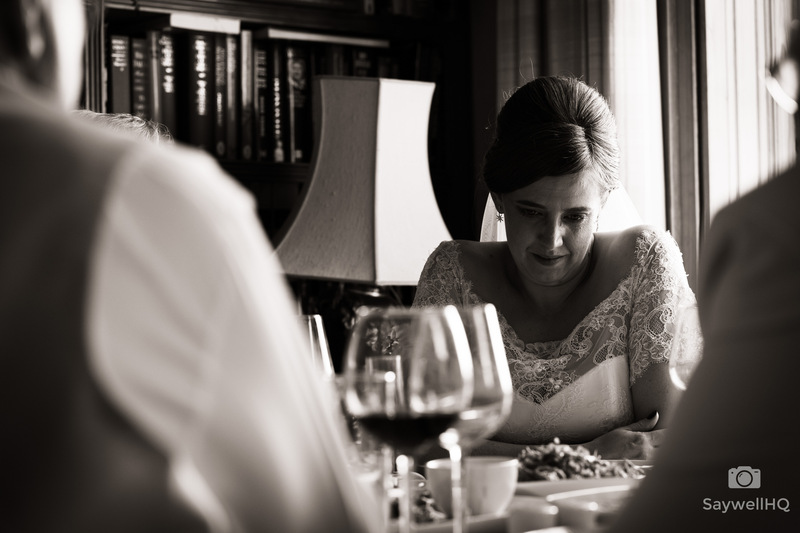 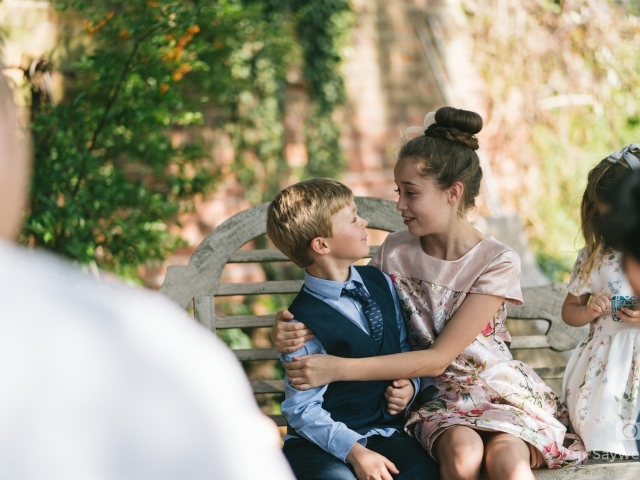 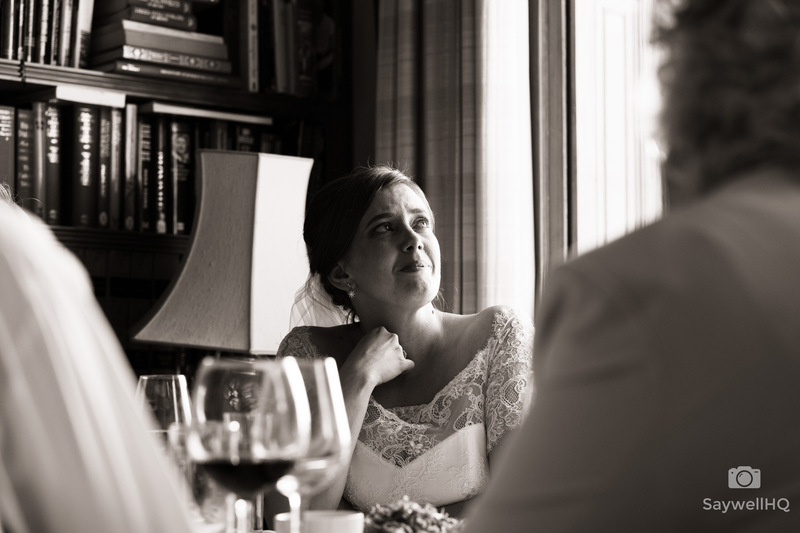 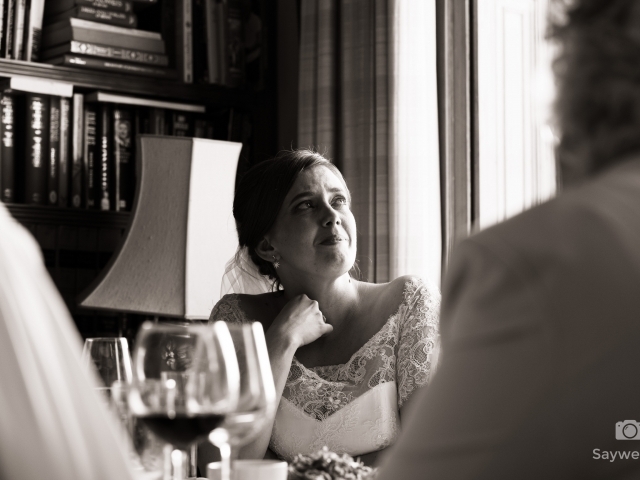 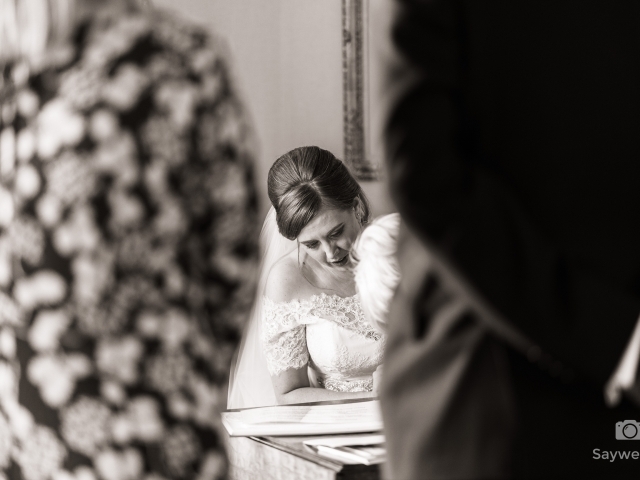 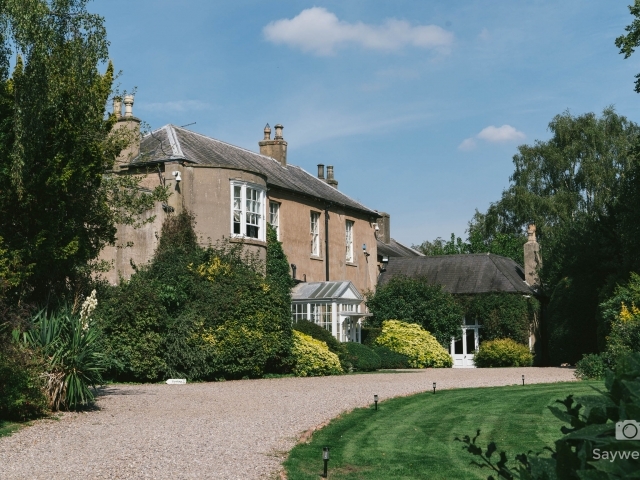 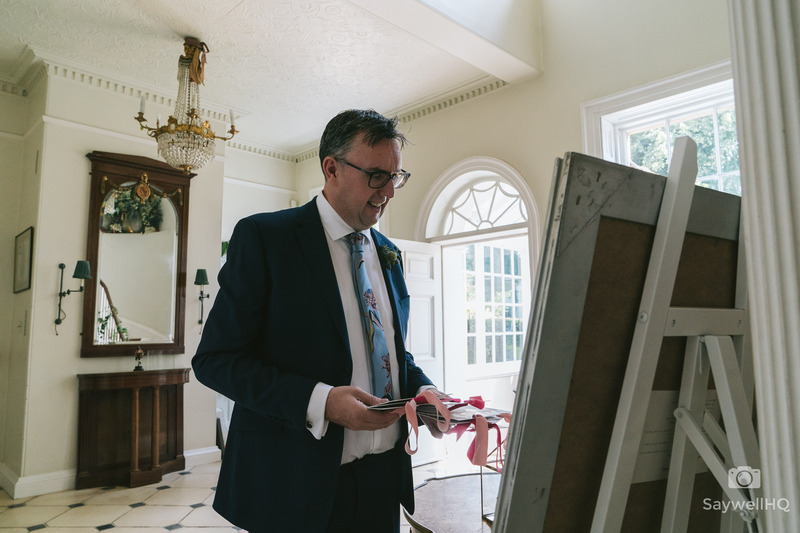 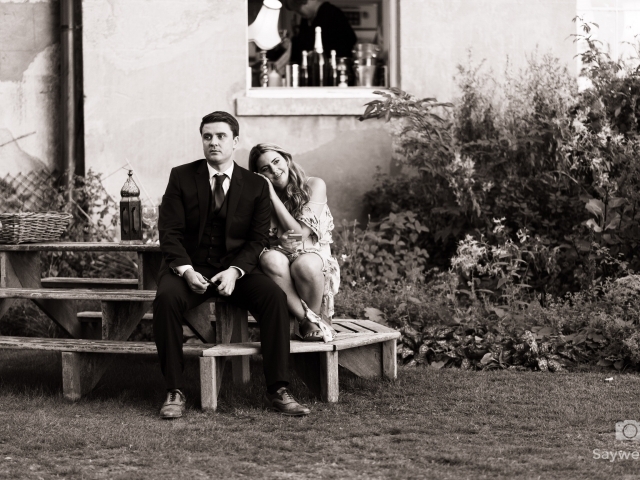 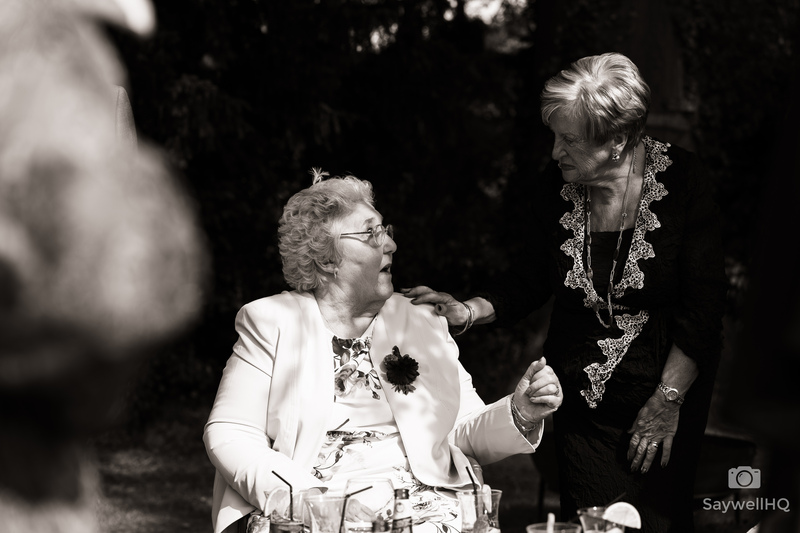 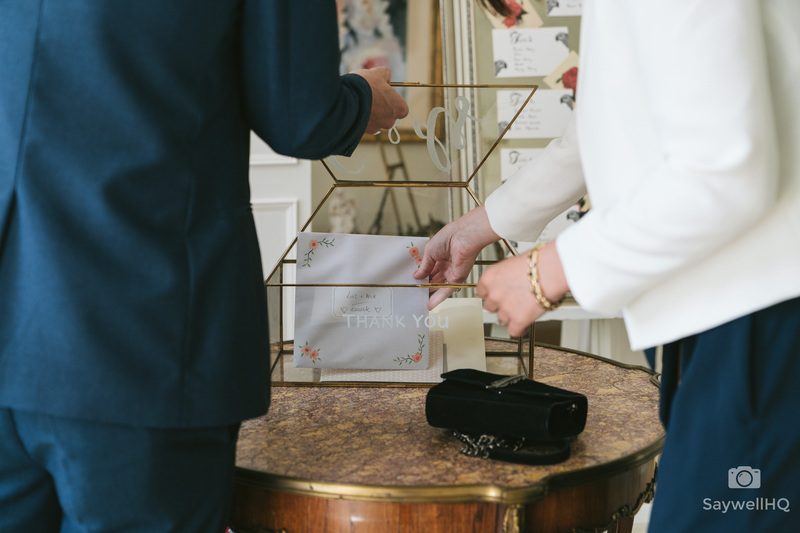 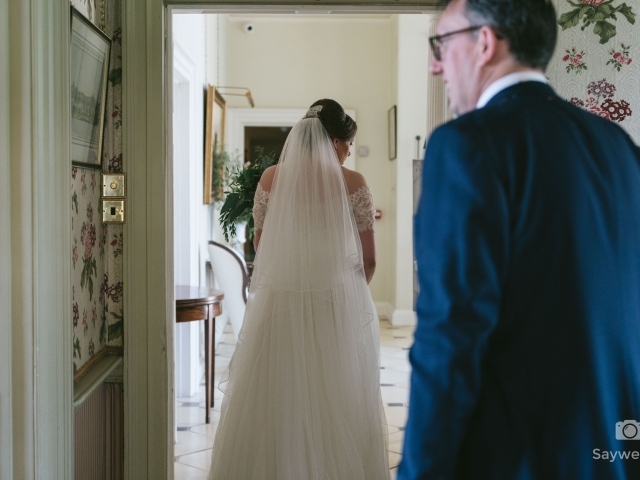 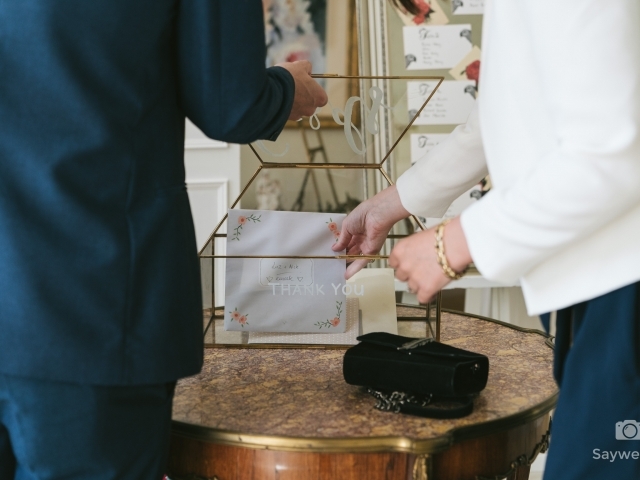 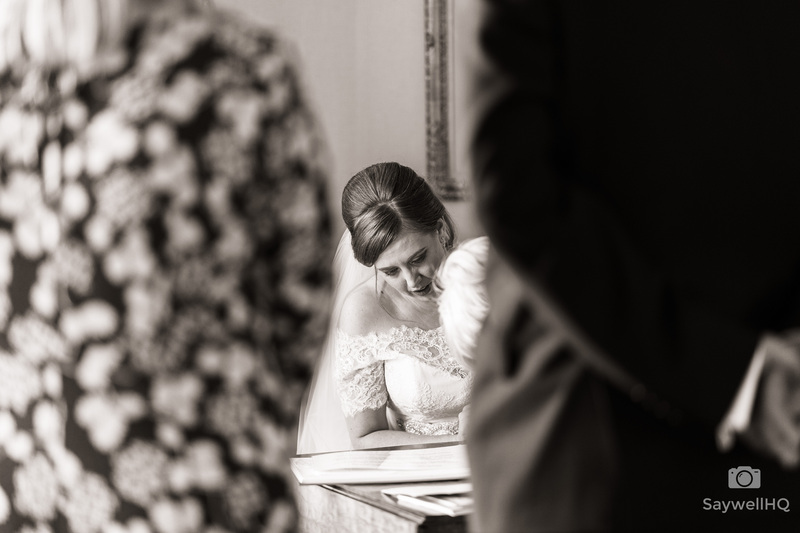 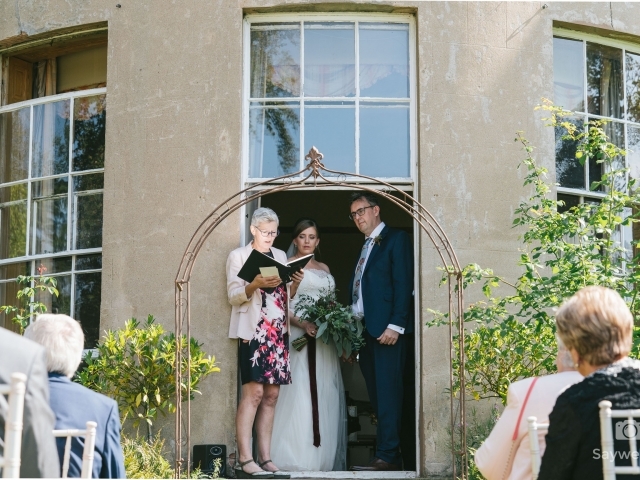 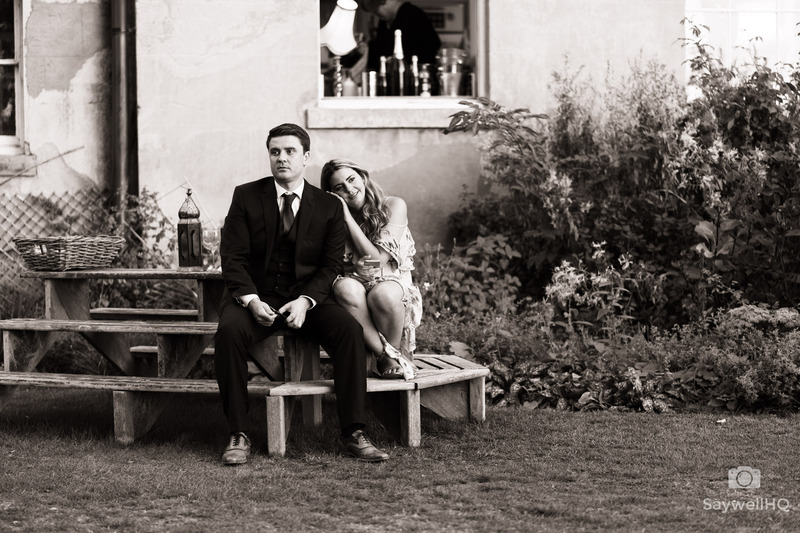 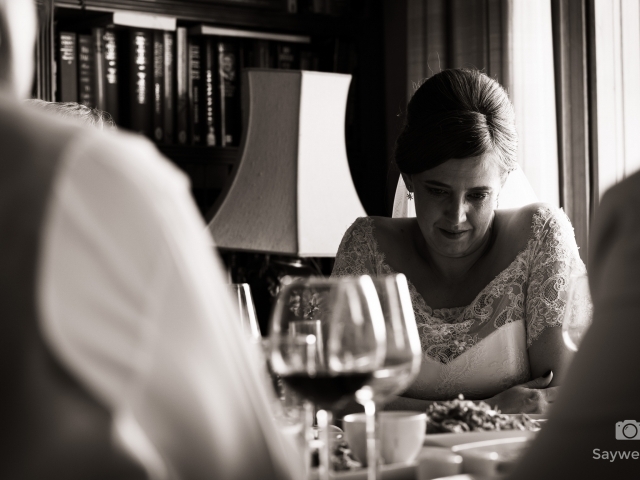 In the UK there is usually a single place at a venue where you can legally exchange vows and become legally married, at East Bridgford Hill the main reception room is where the legal part of a wedding must take place. 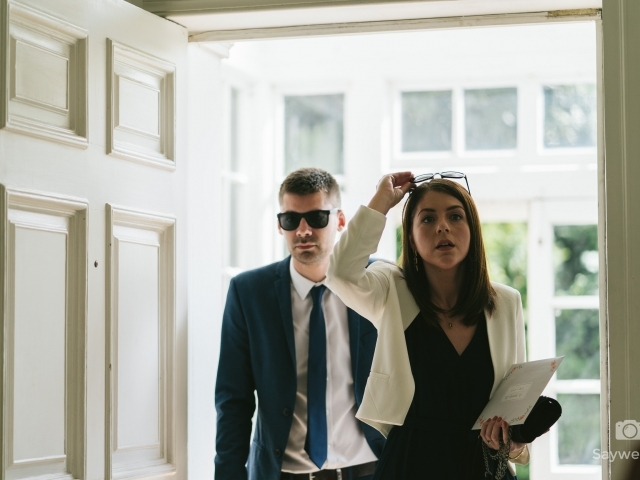 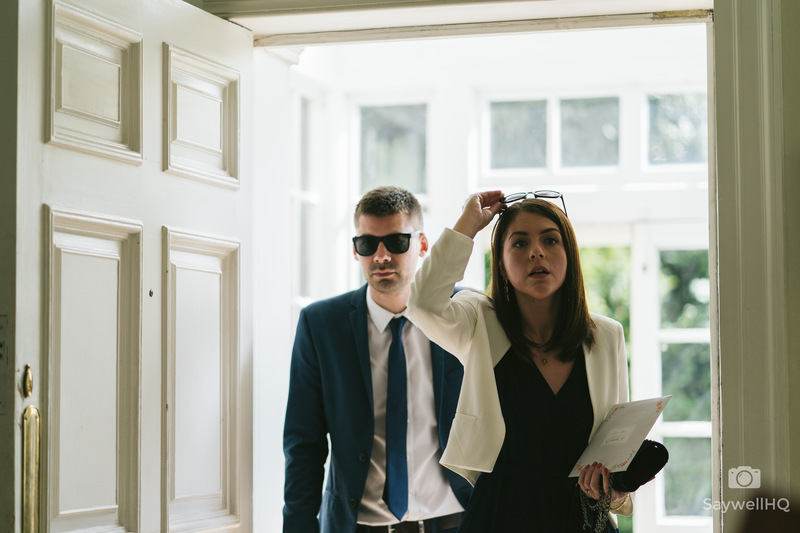 Because the weather was so good, Lindsay and Nick decided that they wanted to have people outside to enjoy the sun during the wedding ceremony – this meant that legally Lindsay and Nick needed to be inside the main reception room which meant that Lindsay and Nick needed to be standing in the doorway to allow their guests to see them during the wedding ceremony. 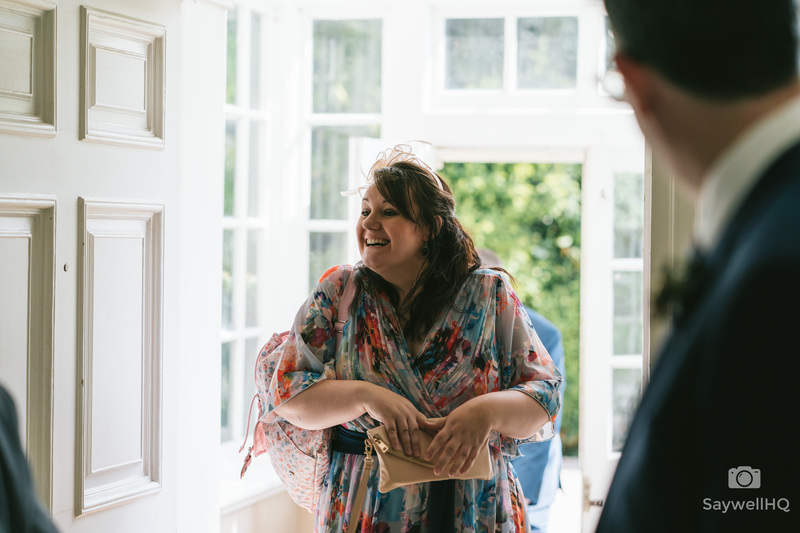 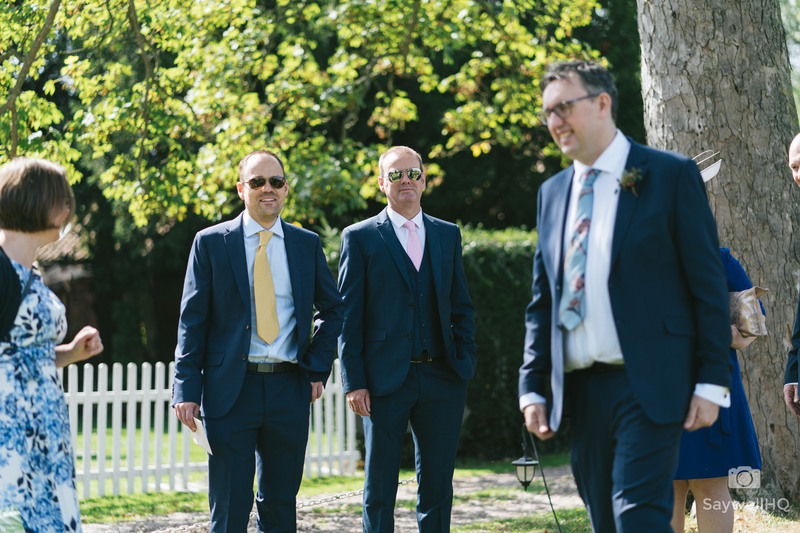 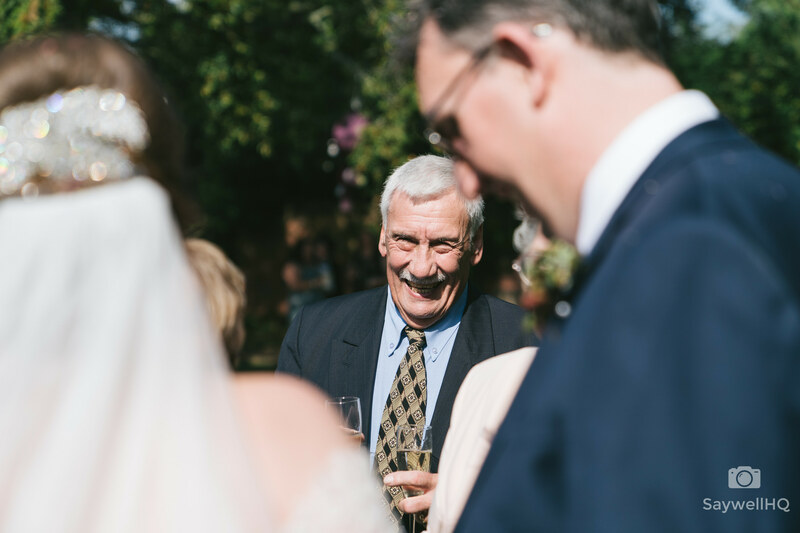 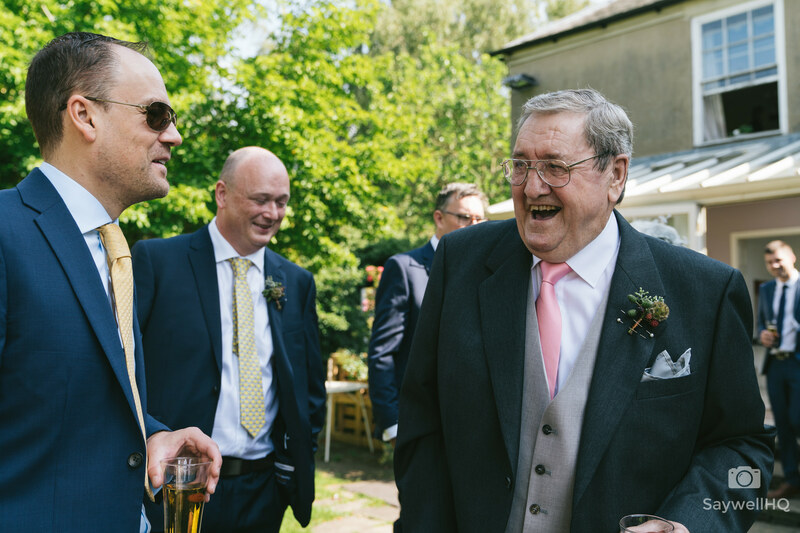 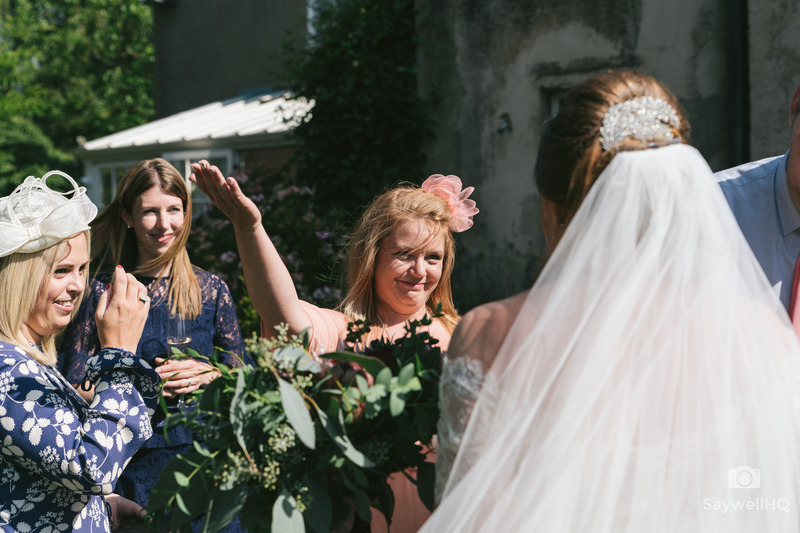 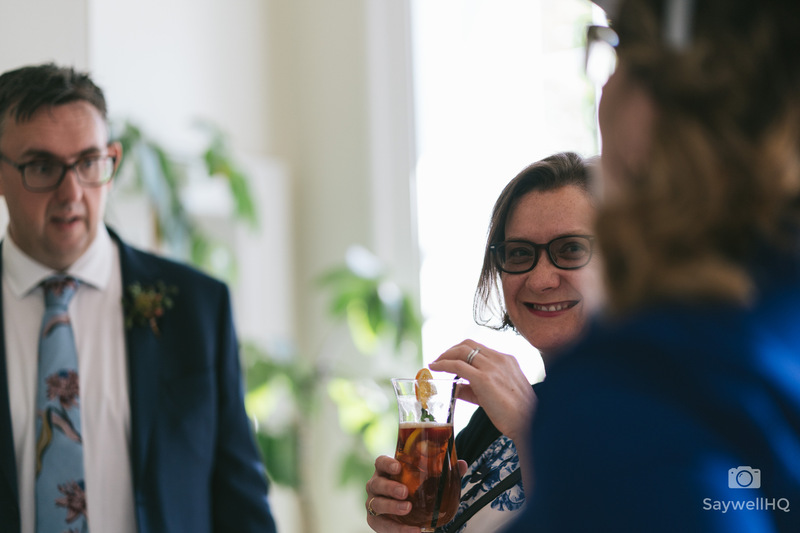 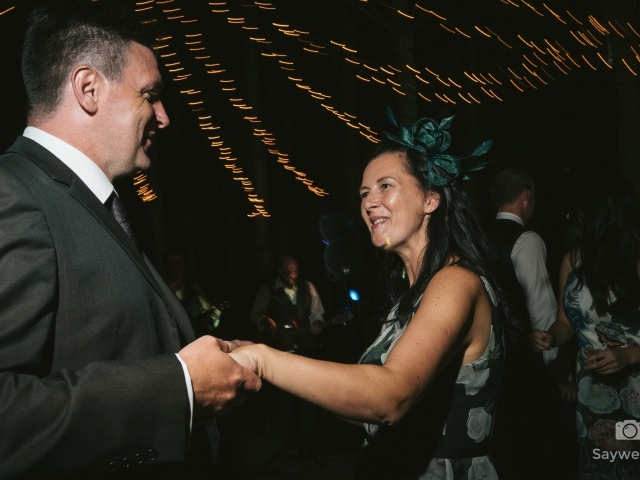 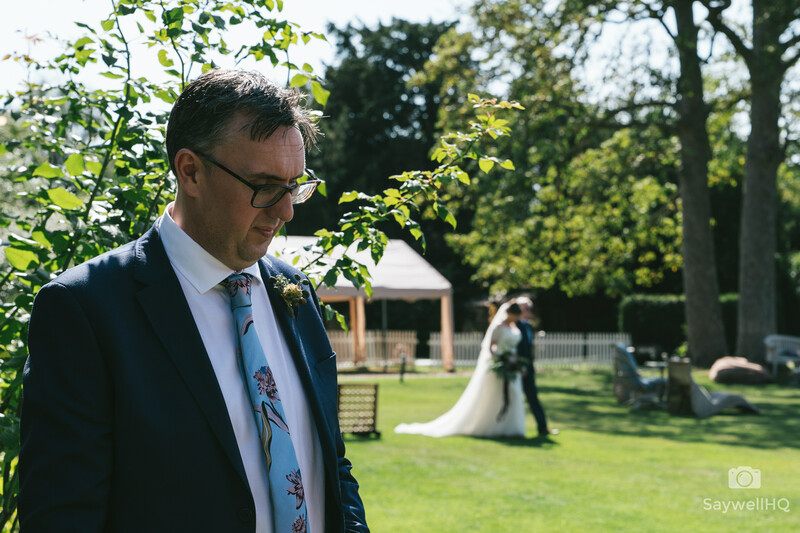 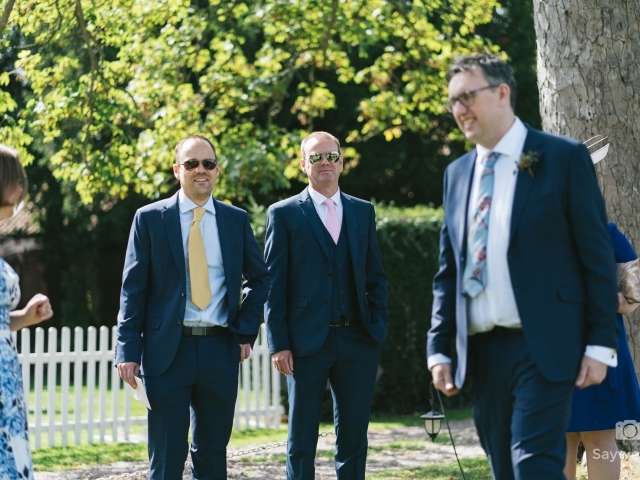 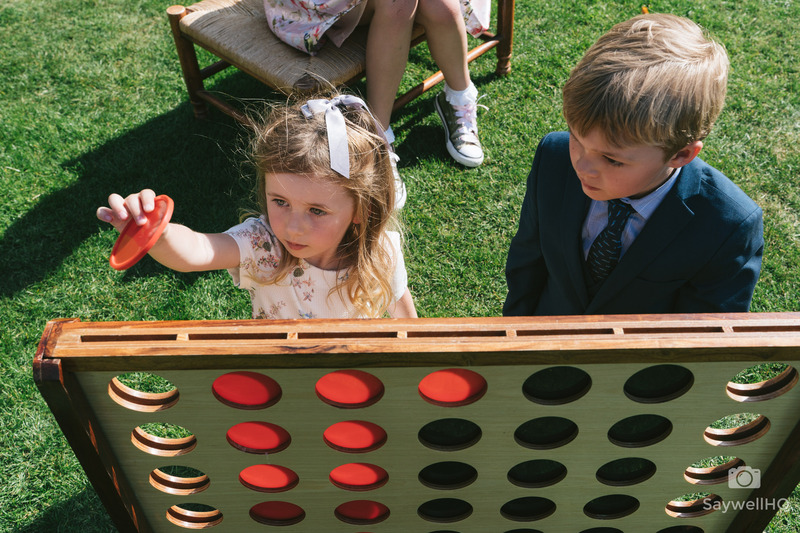 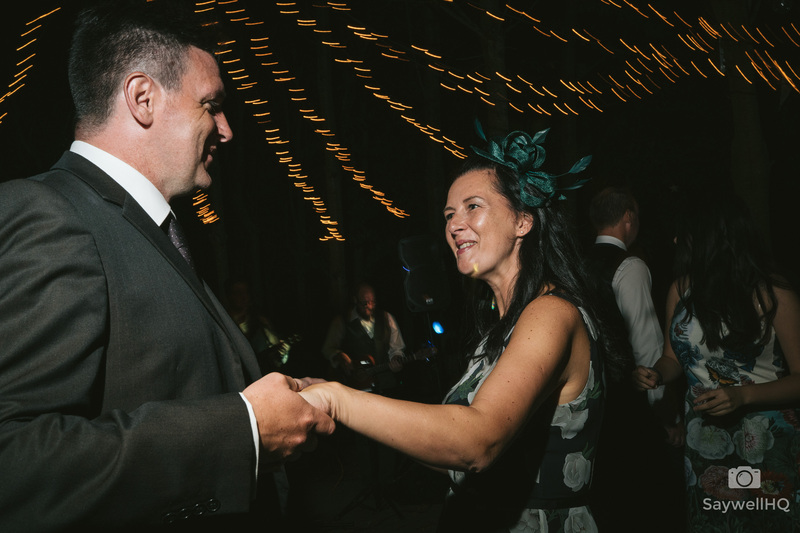 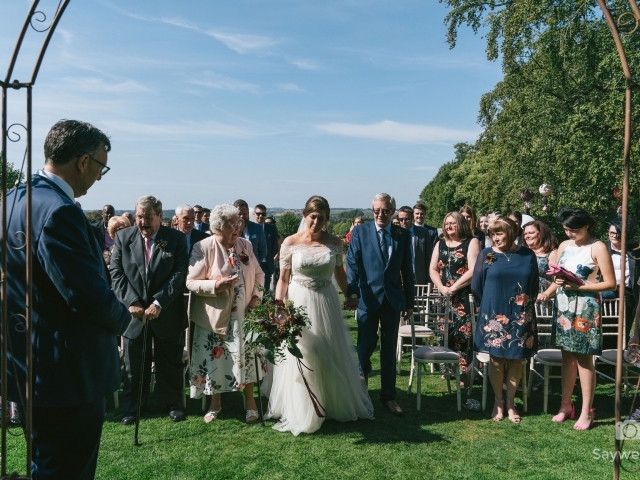 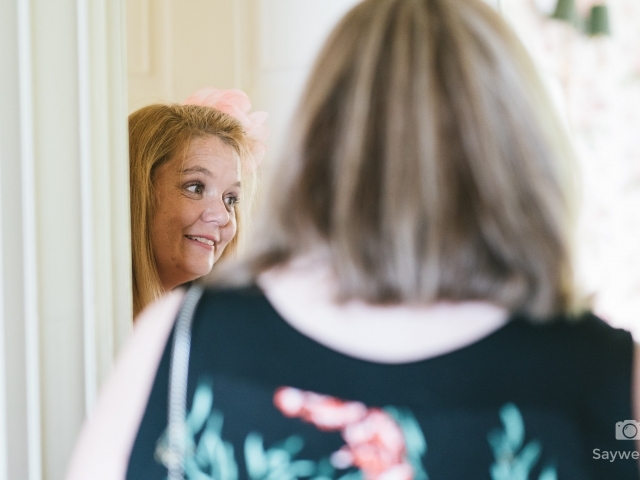 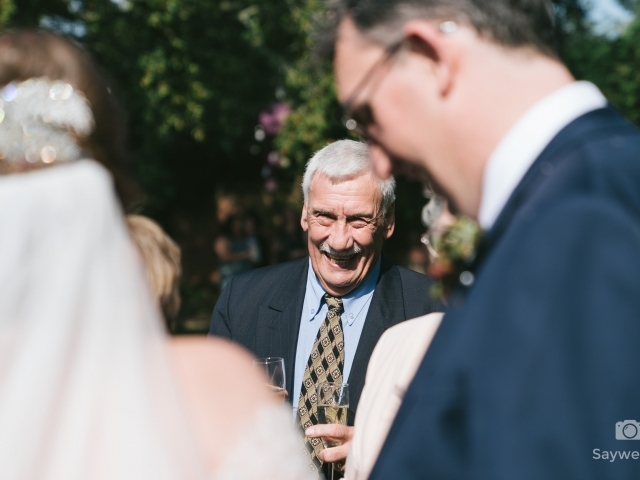 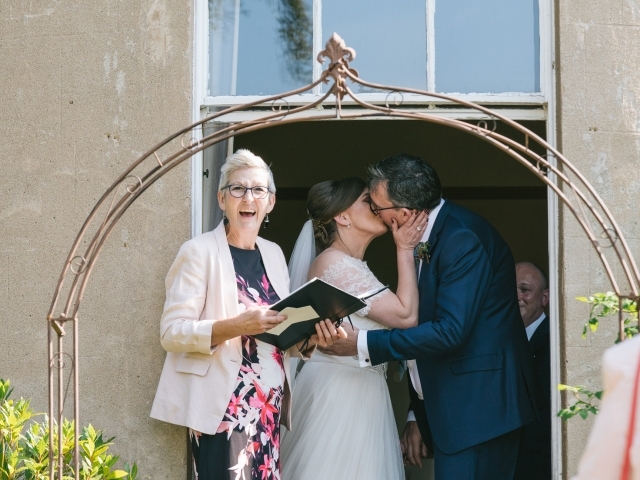 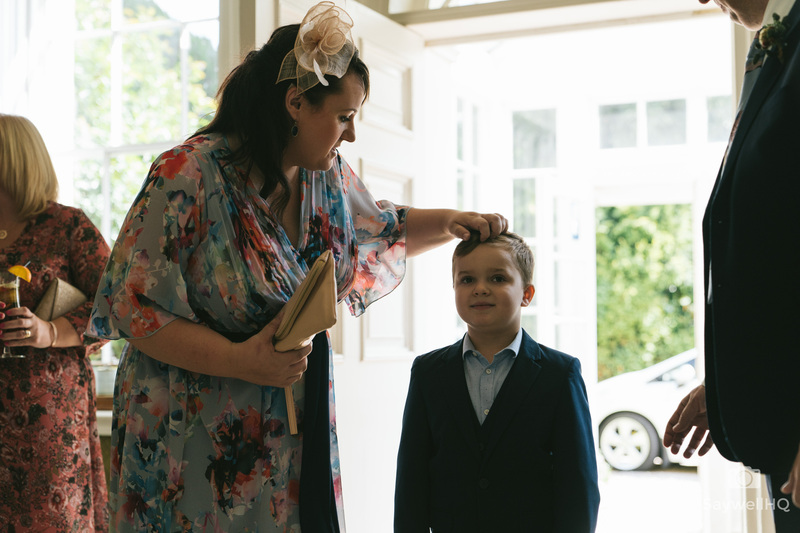 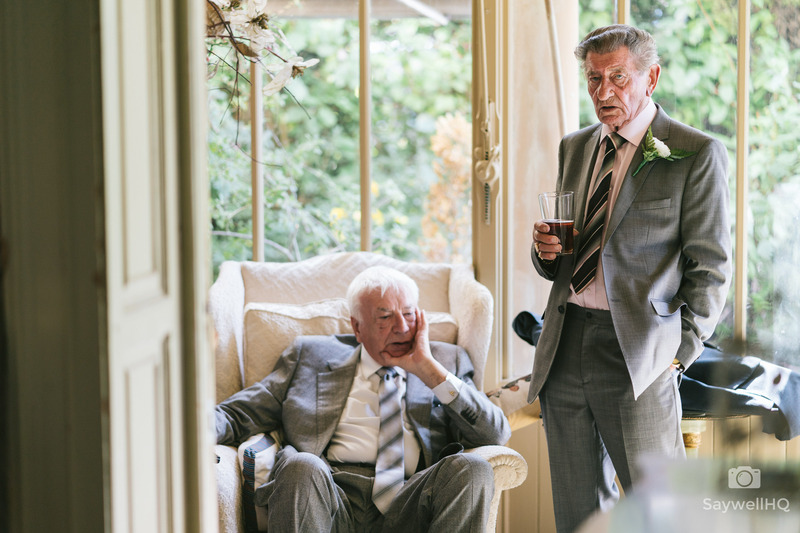 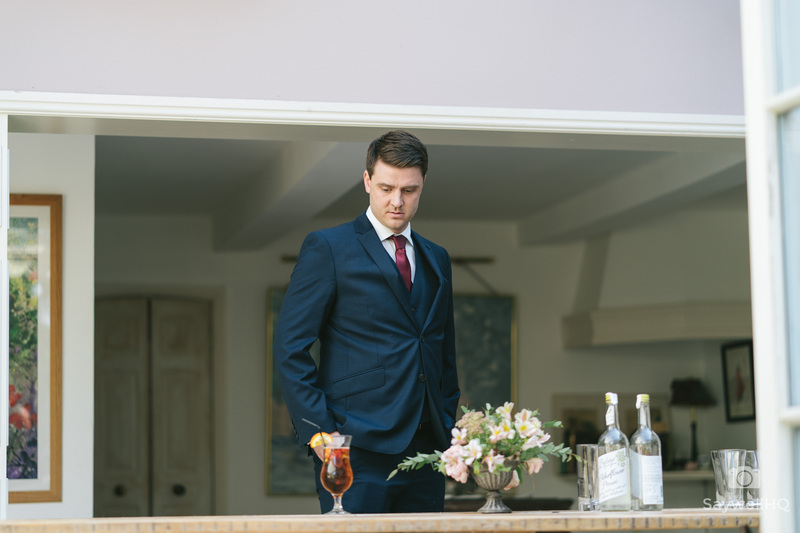 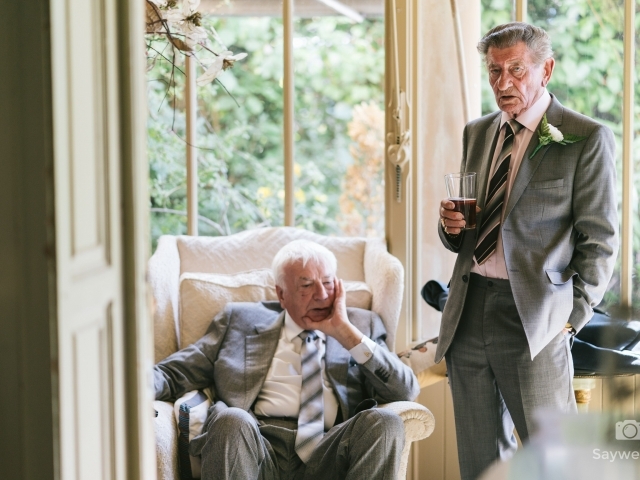 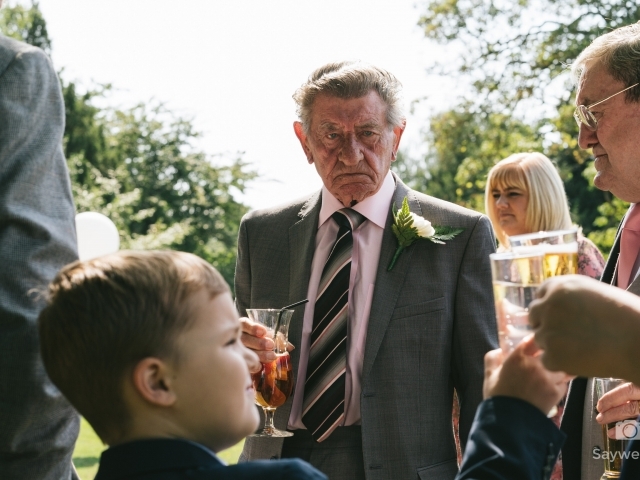 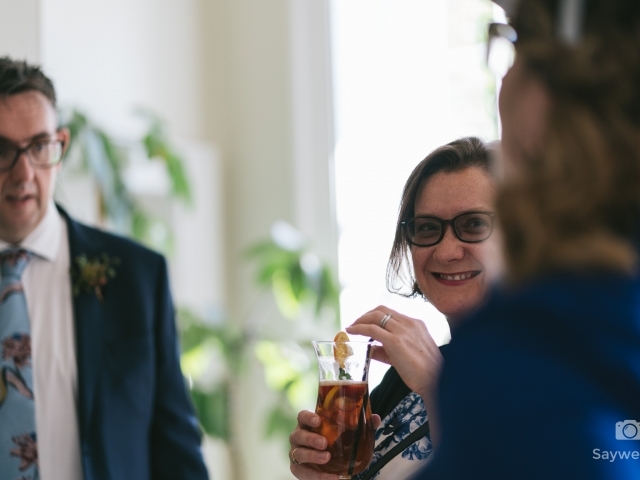 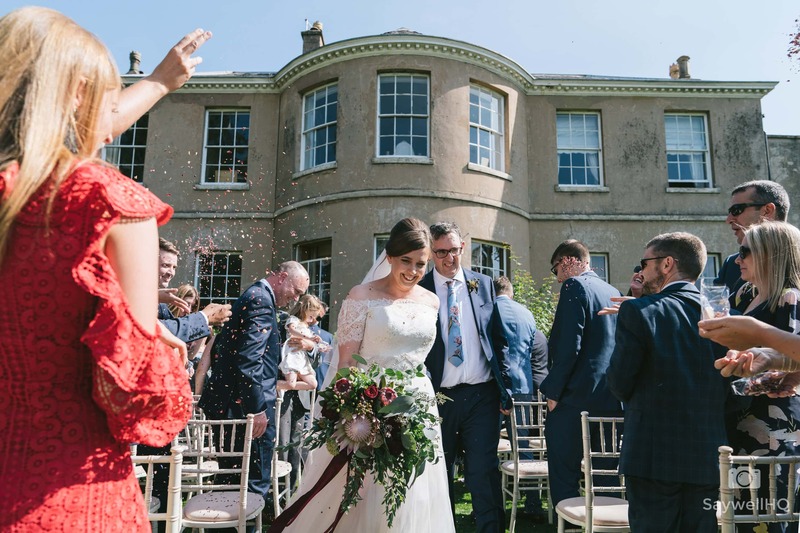 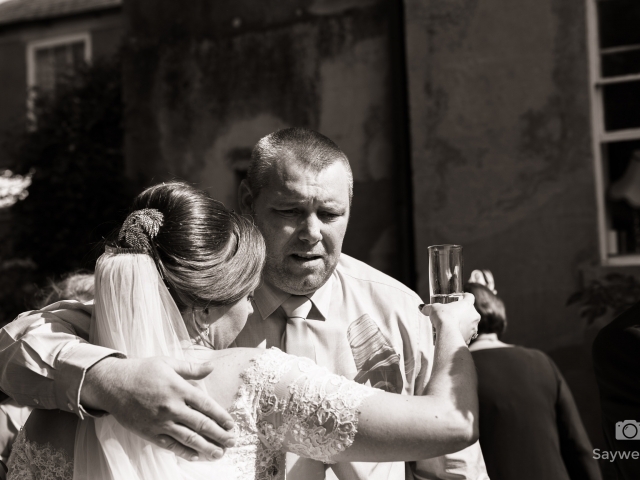 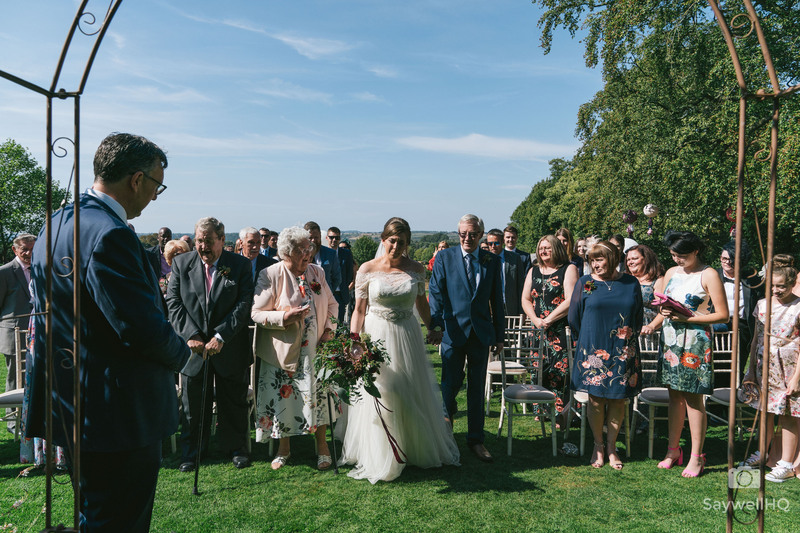 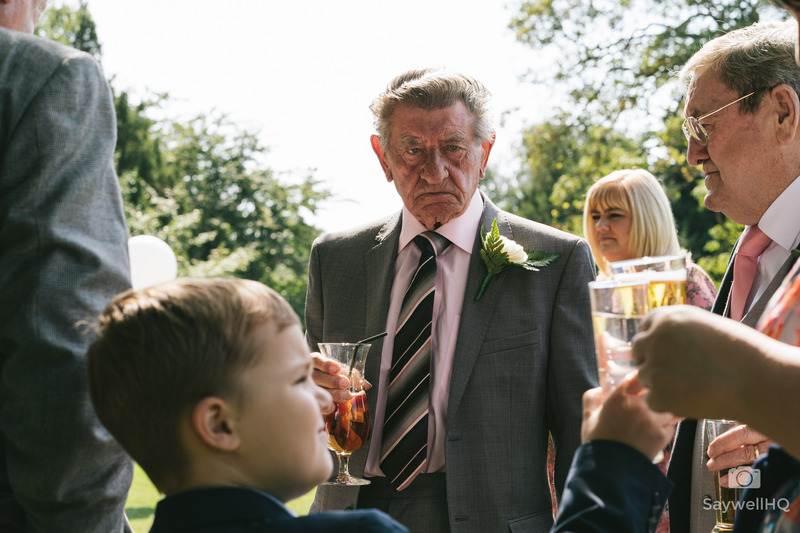 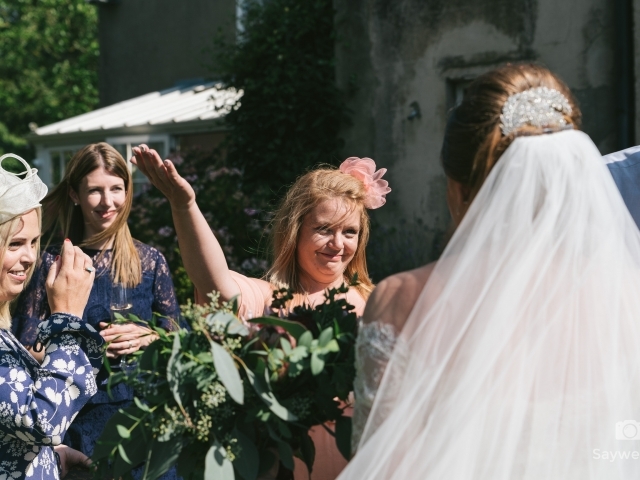 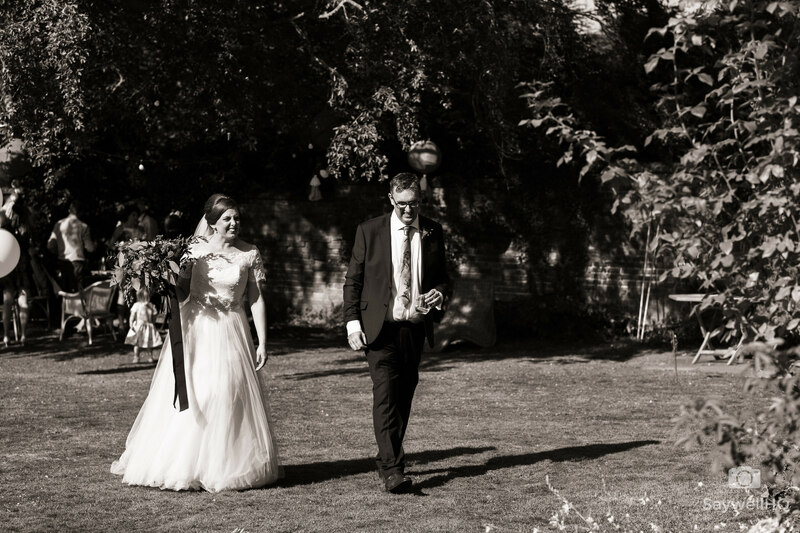 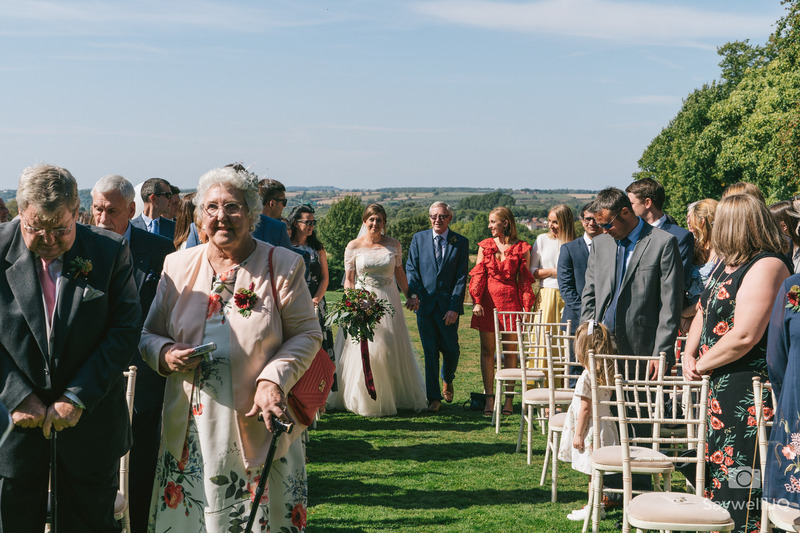 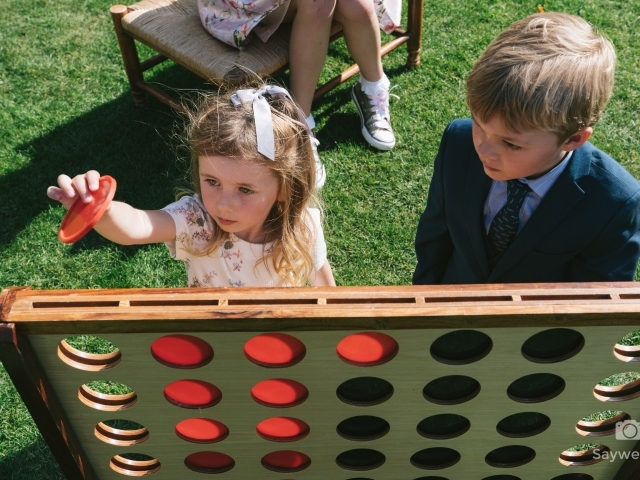 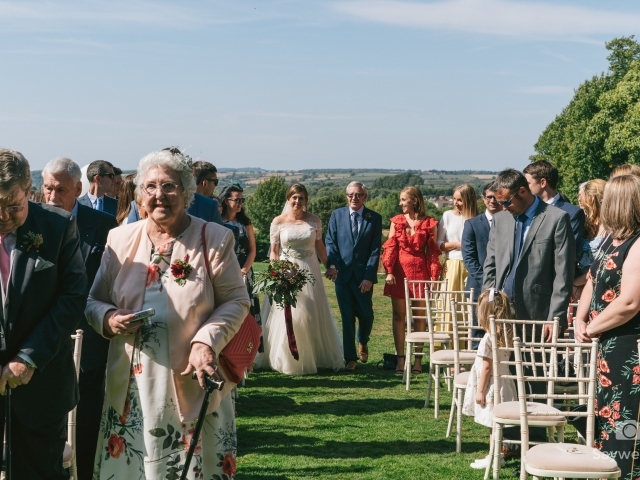 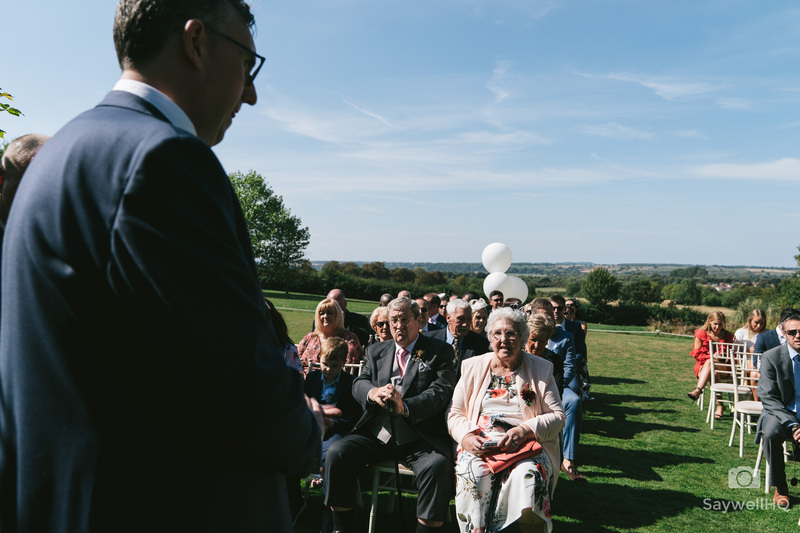 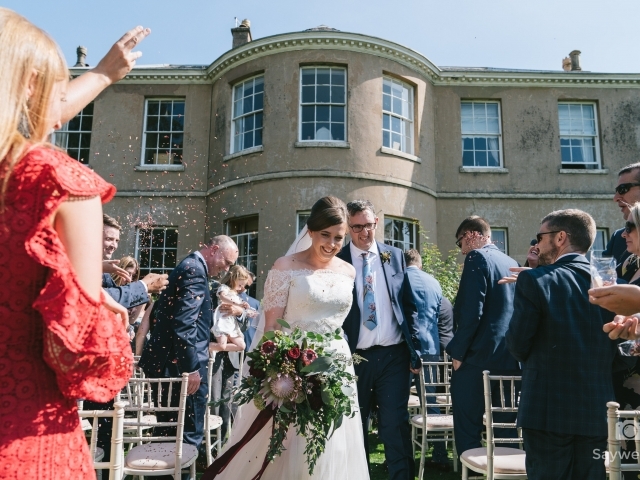 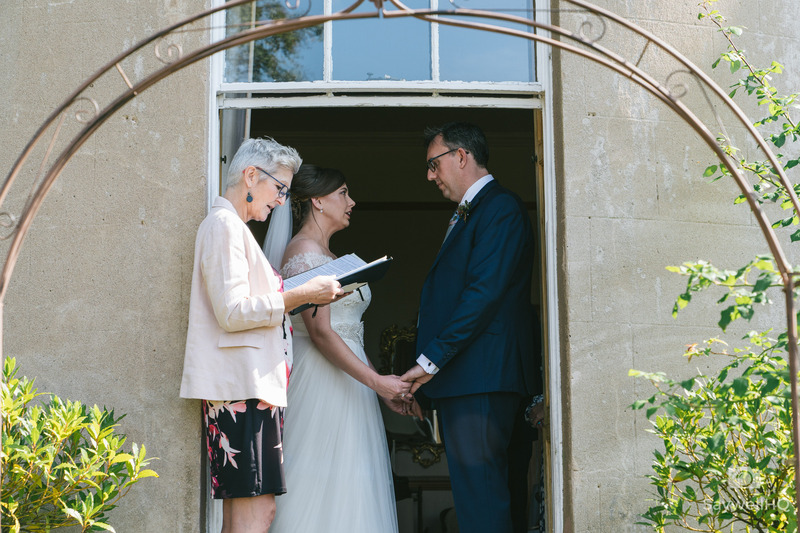 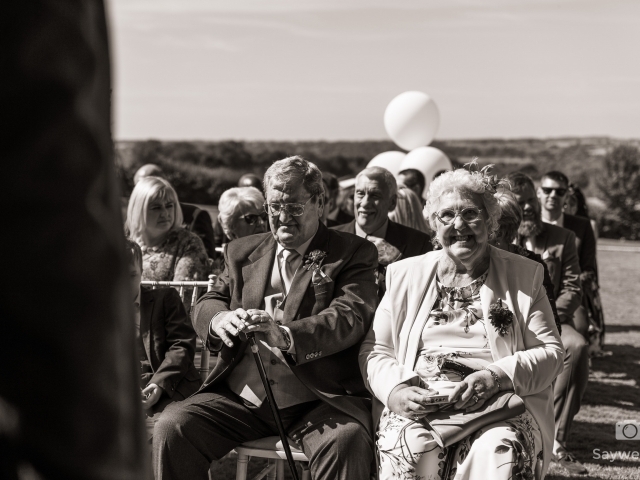 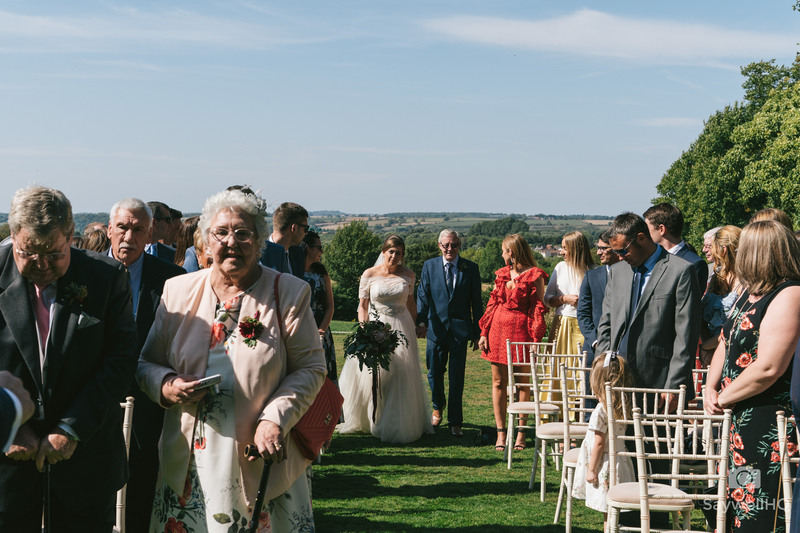 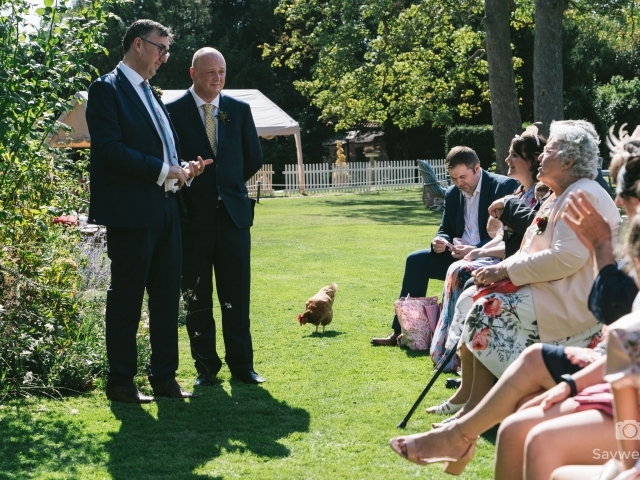 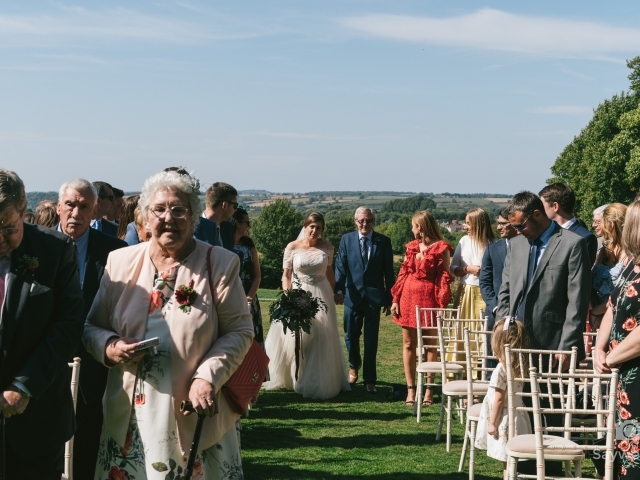 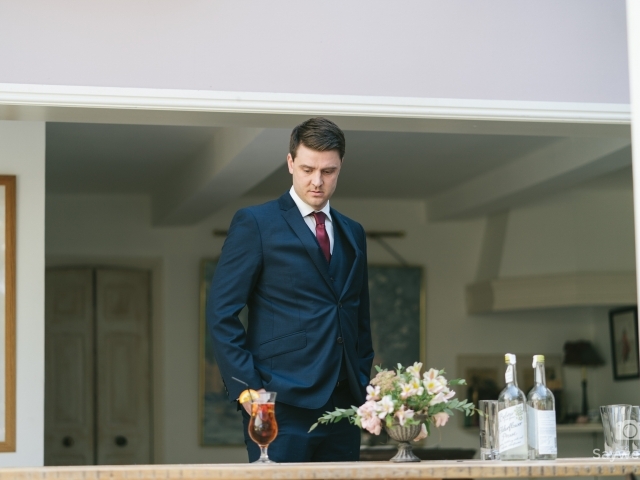 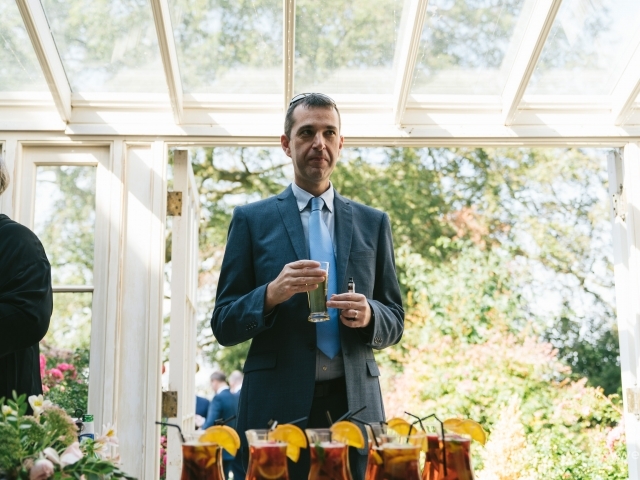 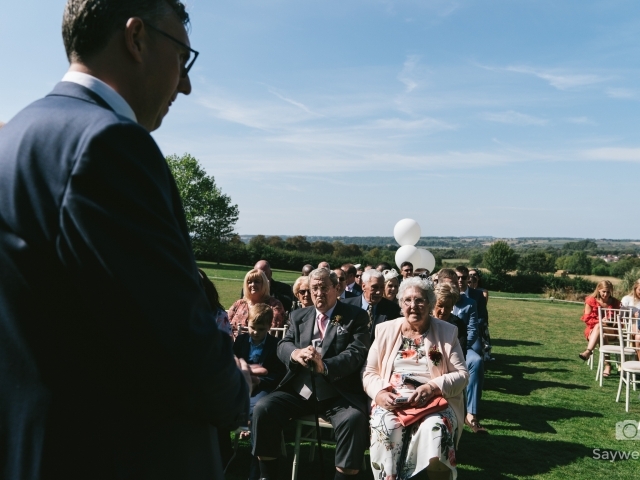 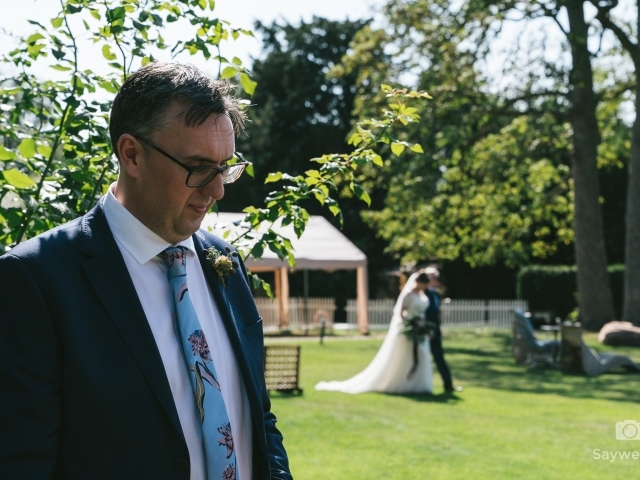 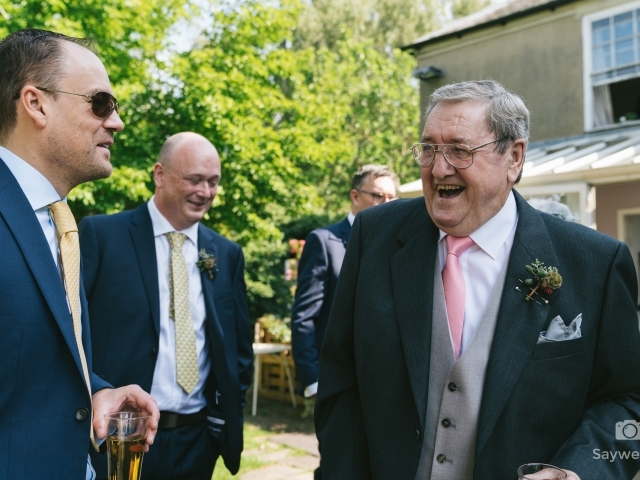 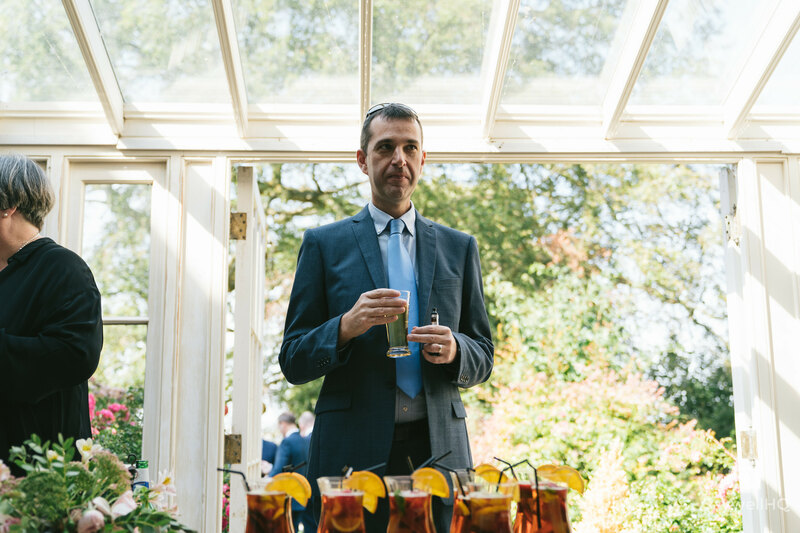 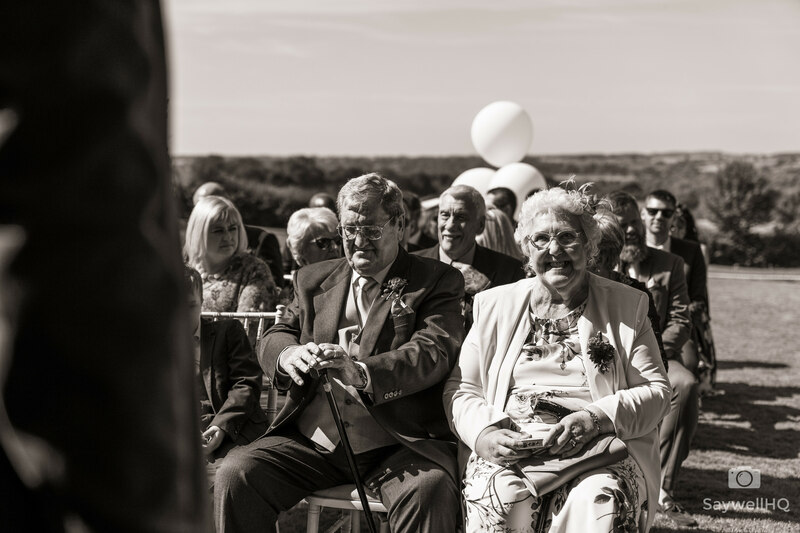 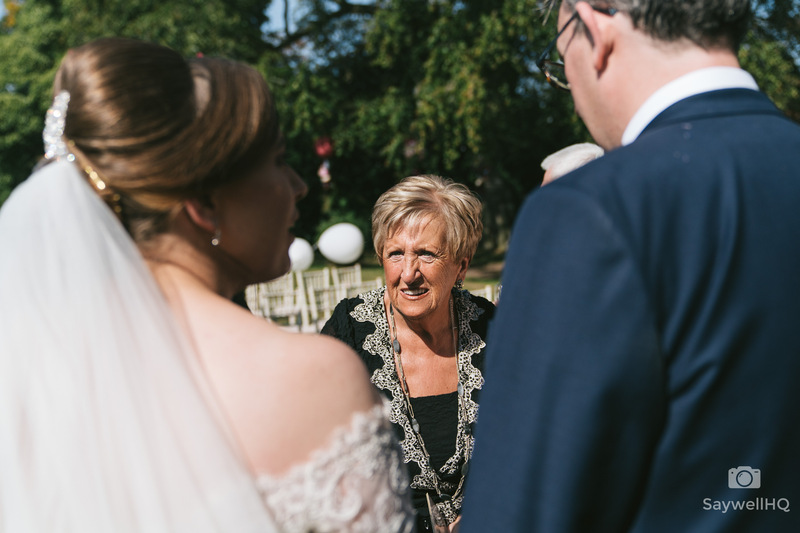 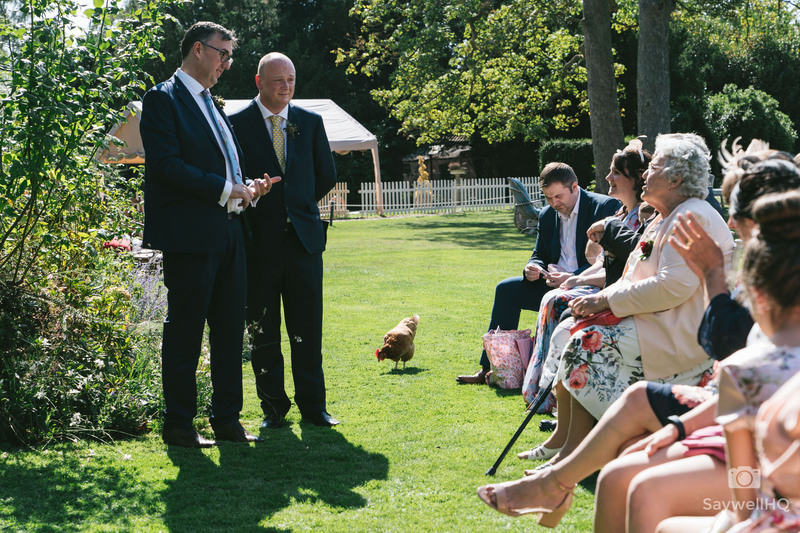 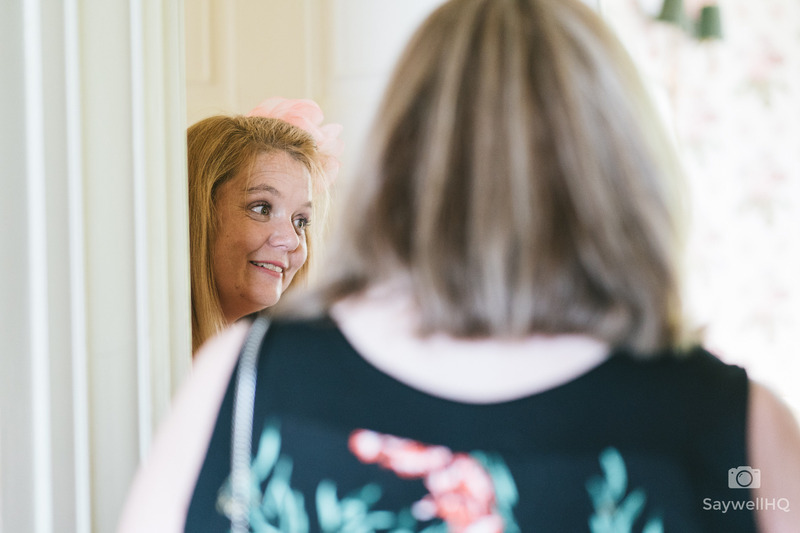 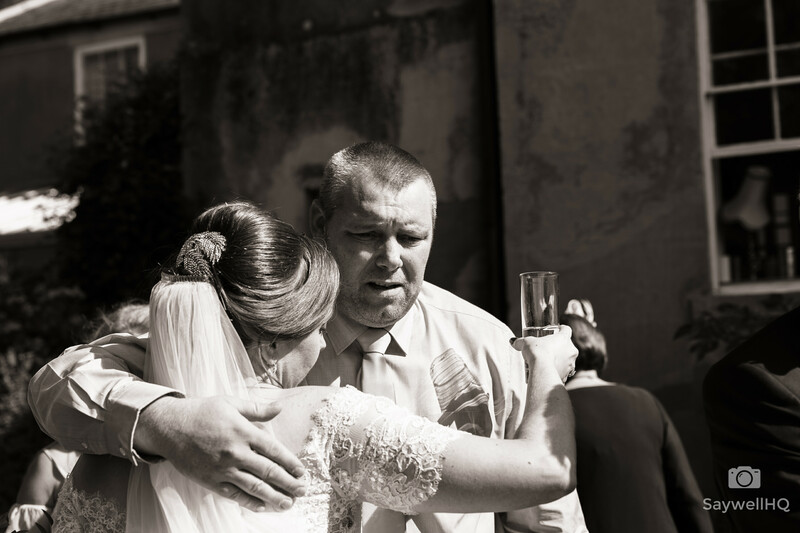 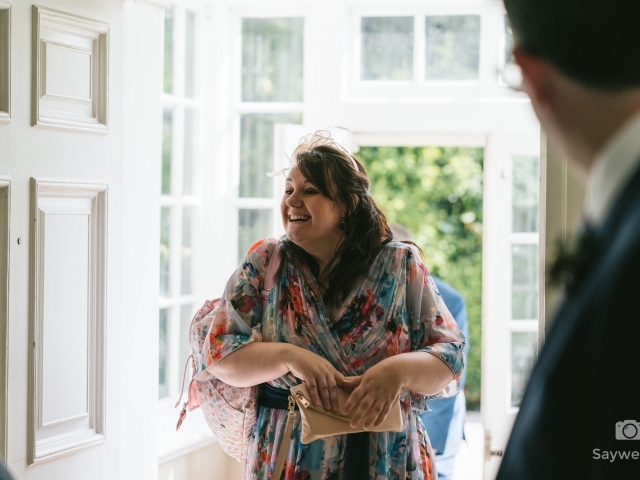 Once the guys had exchanged their vows and walked through the shower of confetti – it was time to enjoy the sun, a drink and celebrate with their family and friends. 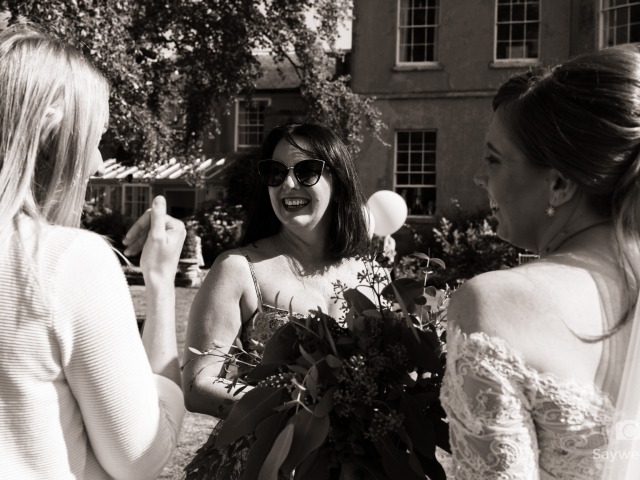 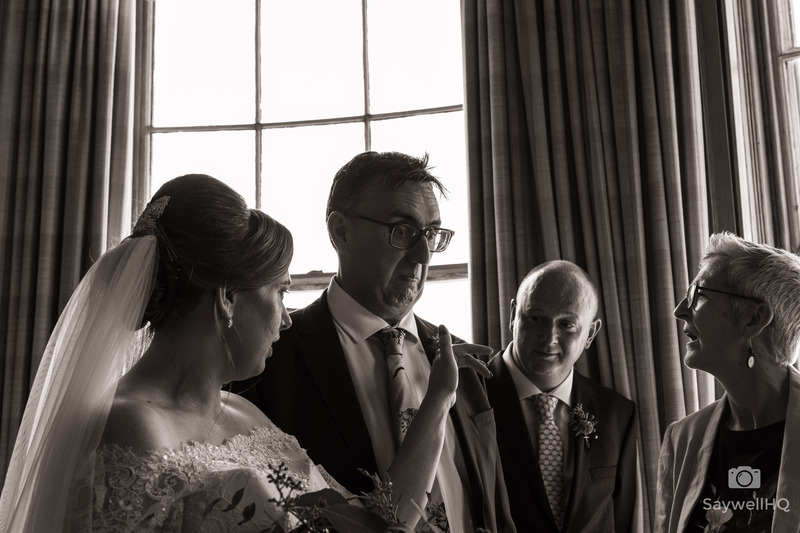 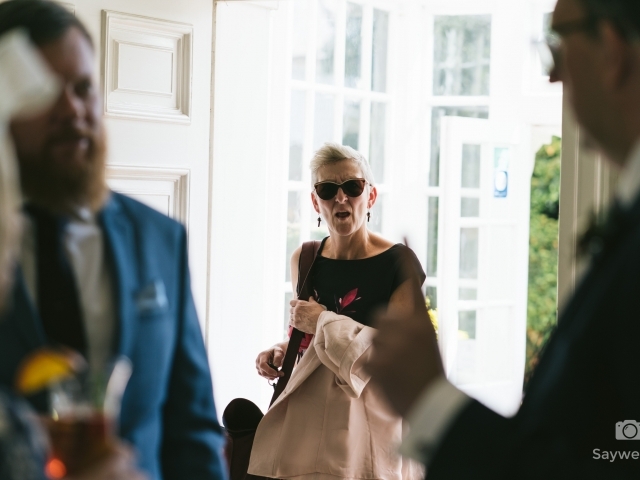 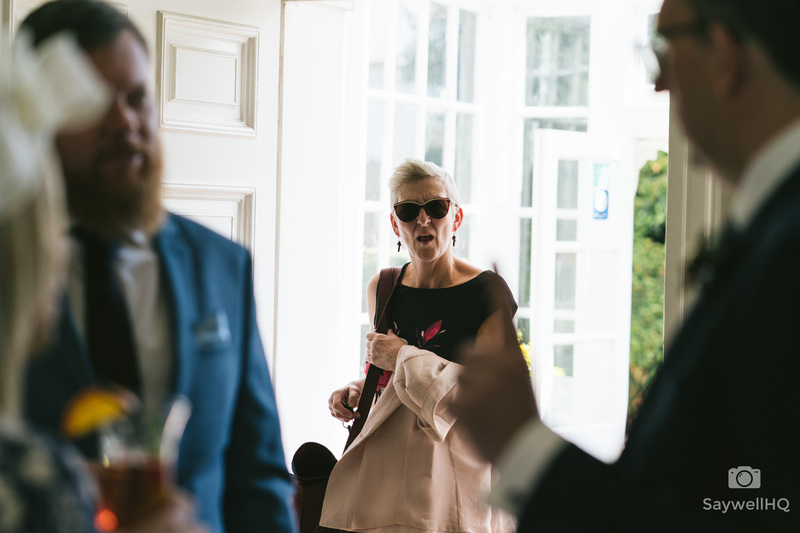 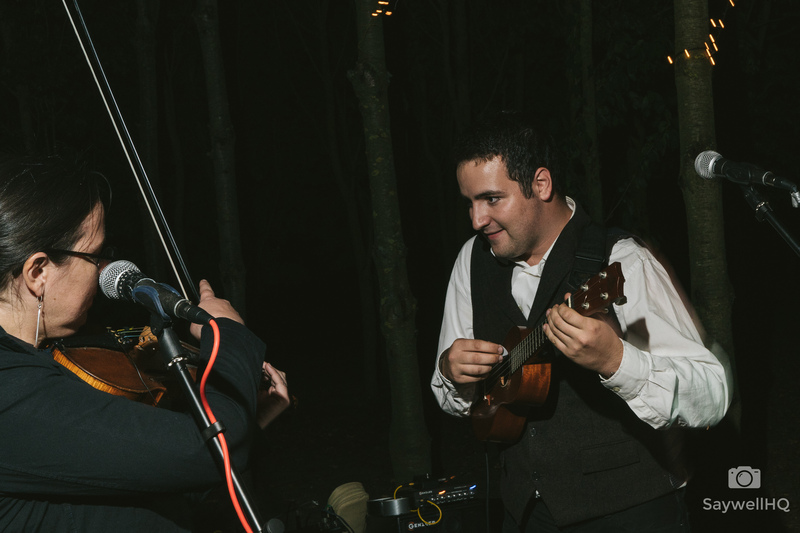 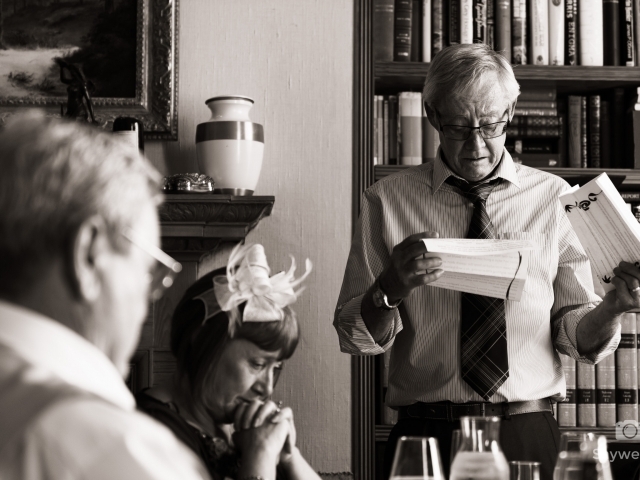 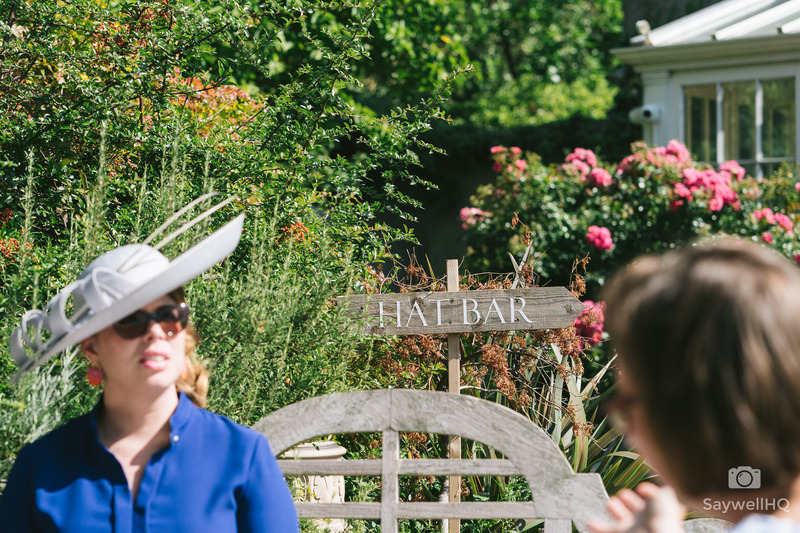 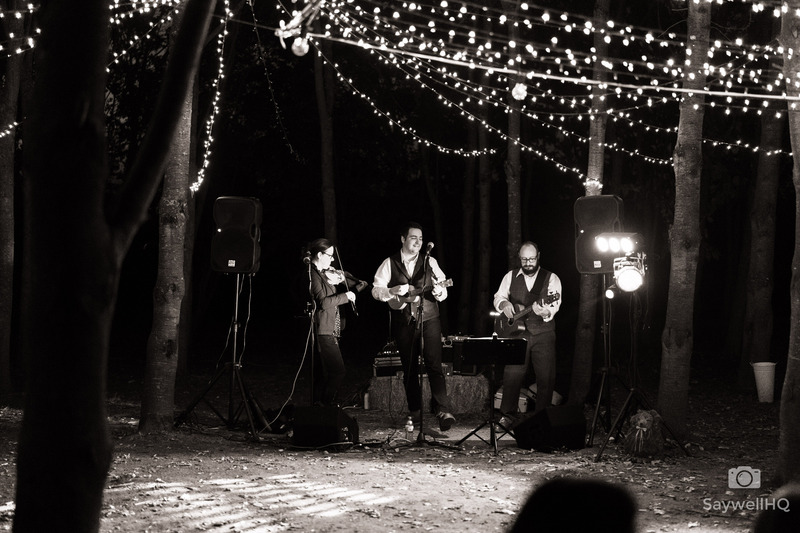 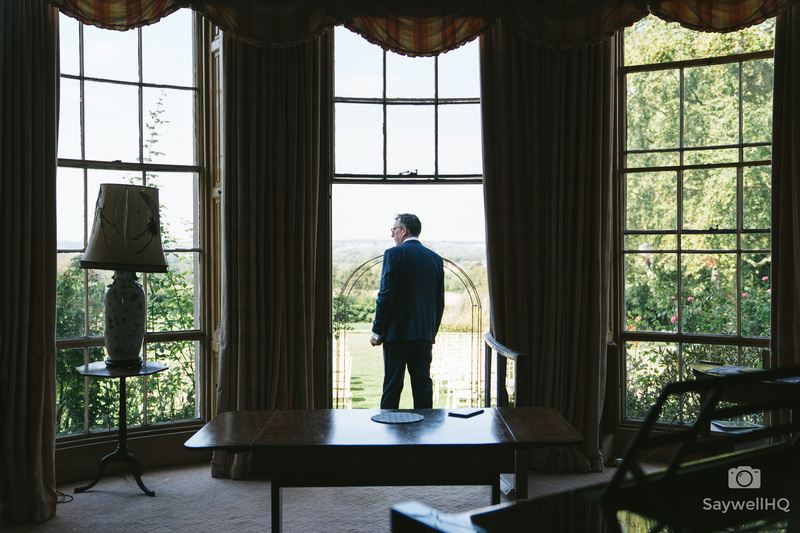 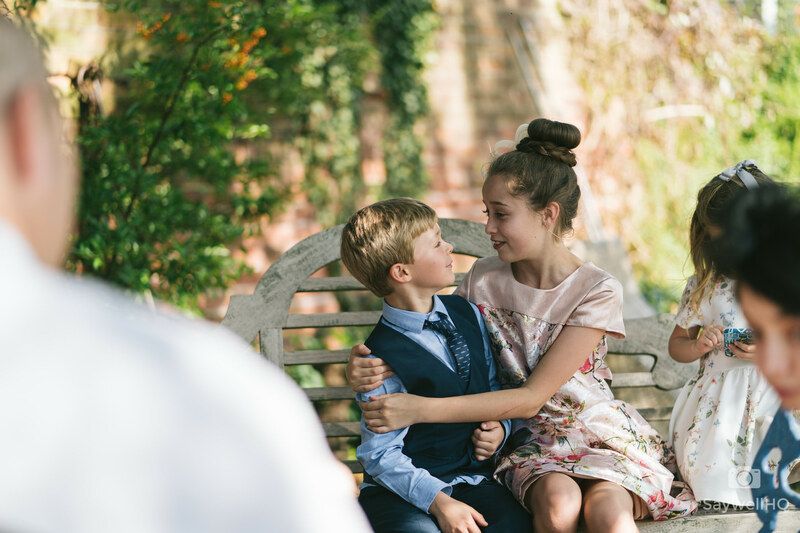 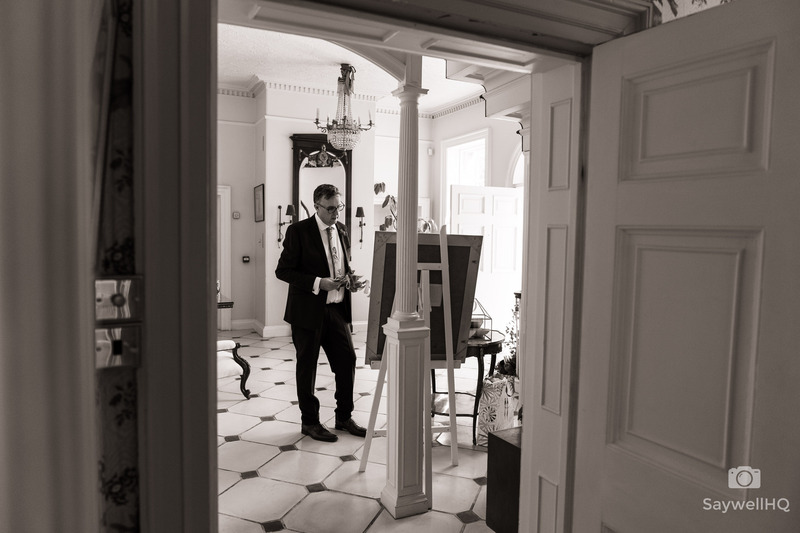 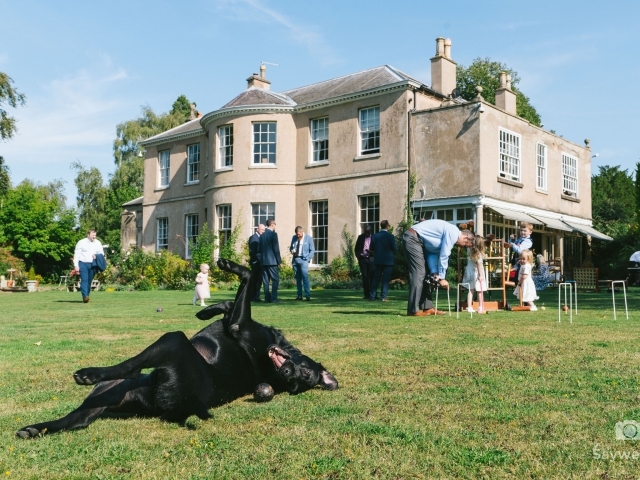 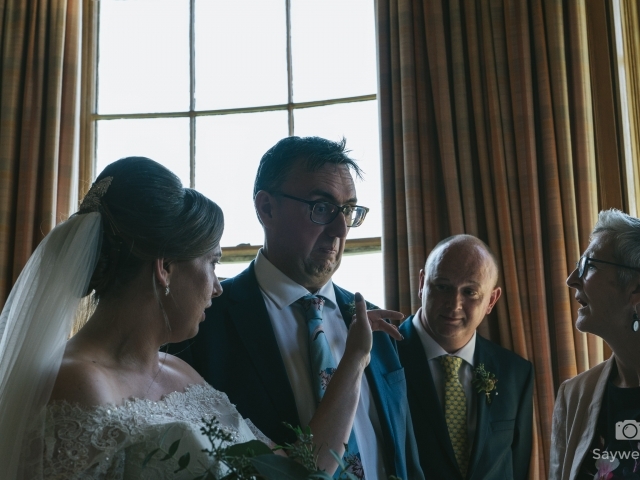 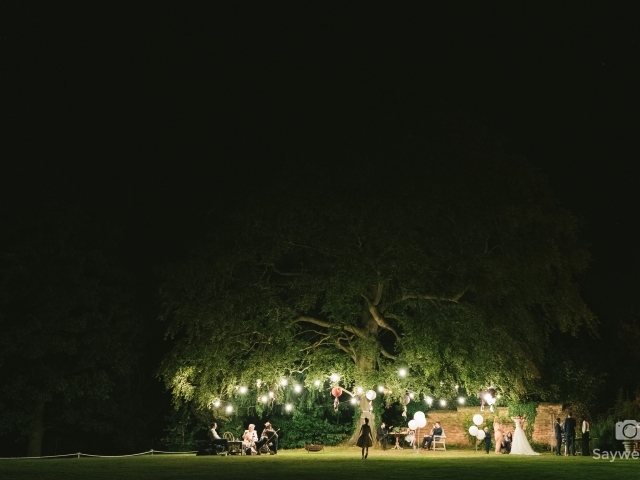 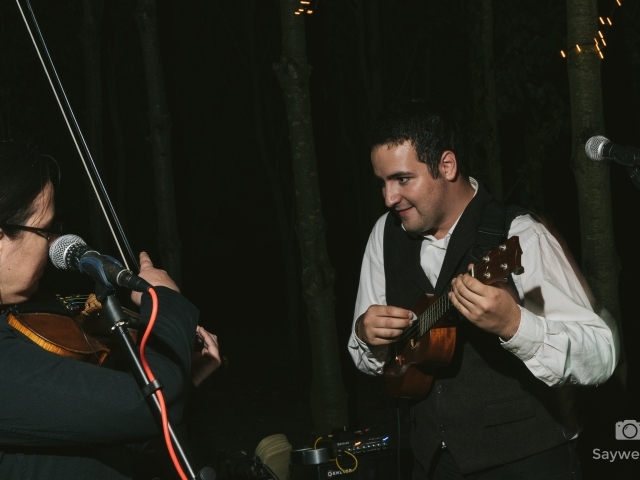 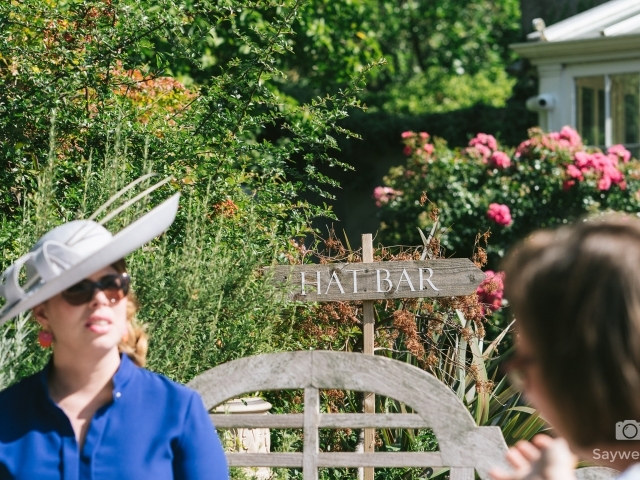 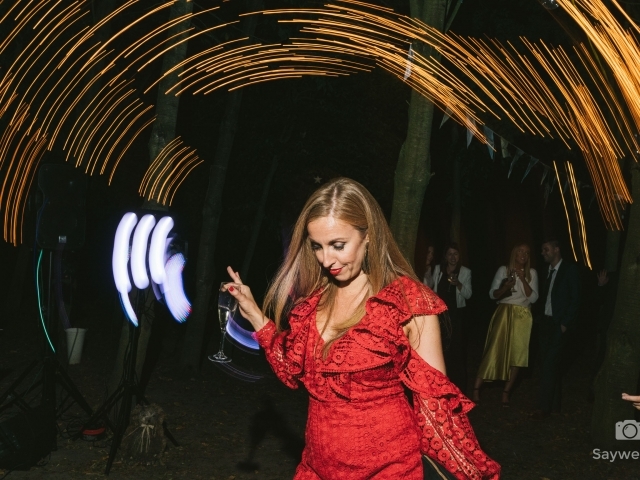 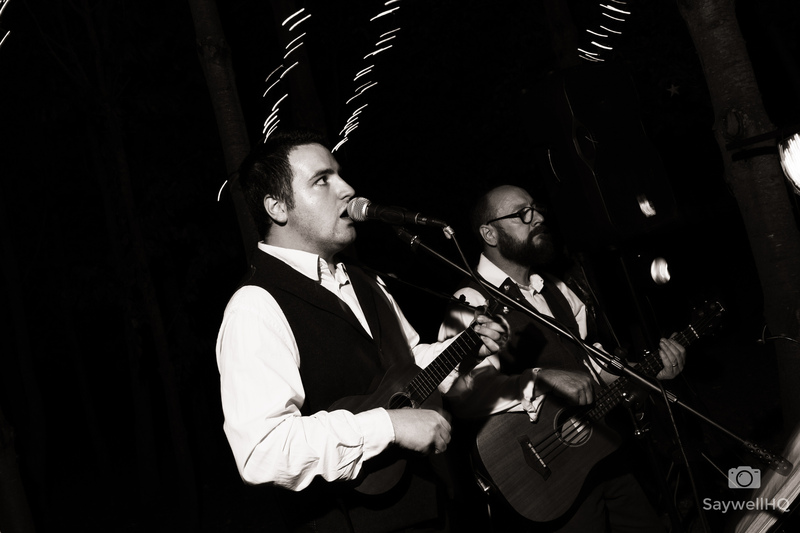 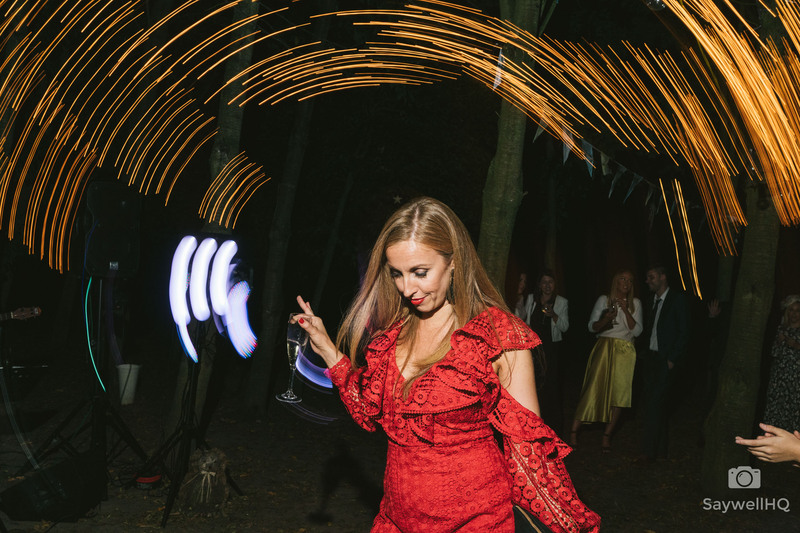 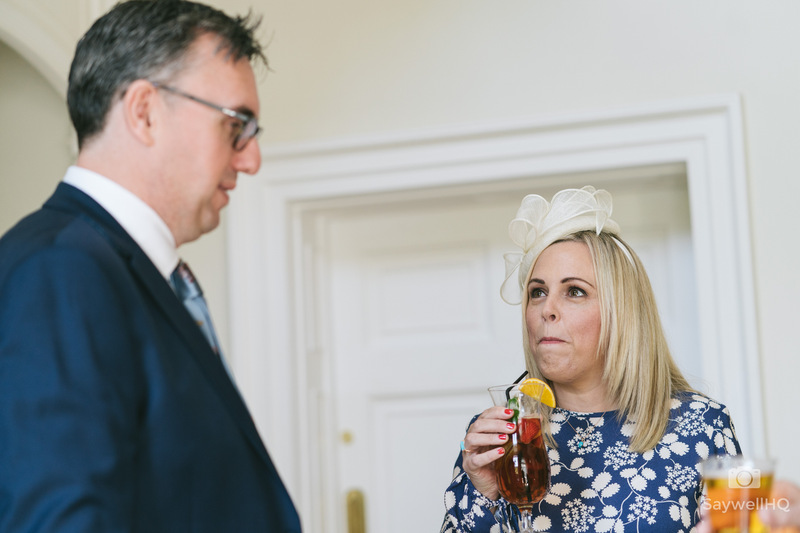 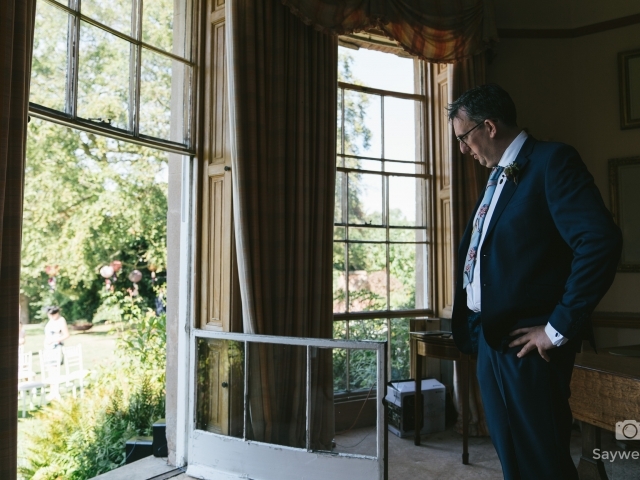 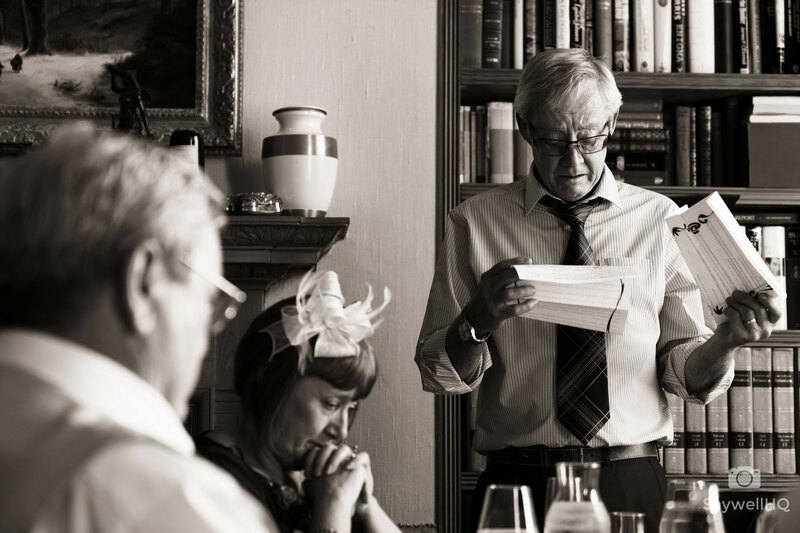 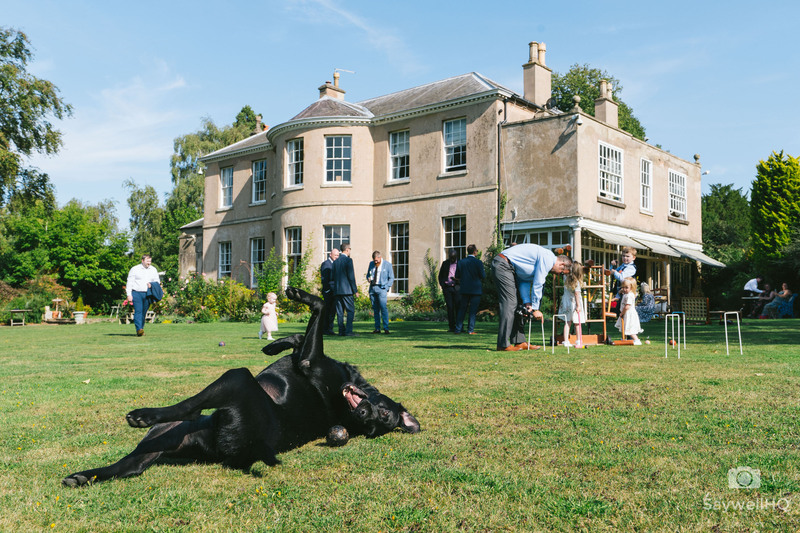 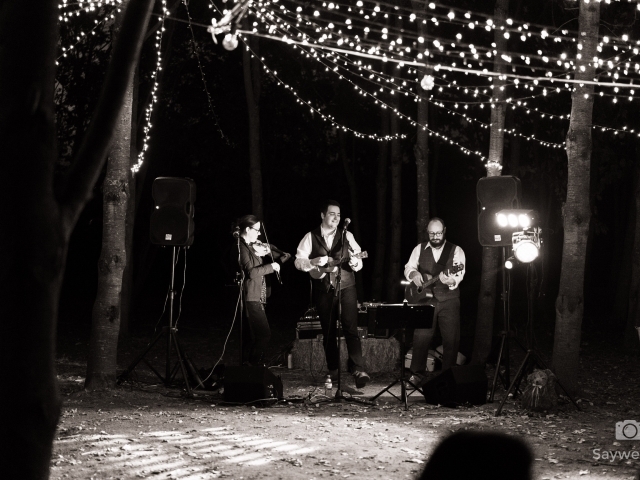 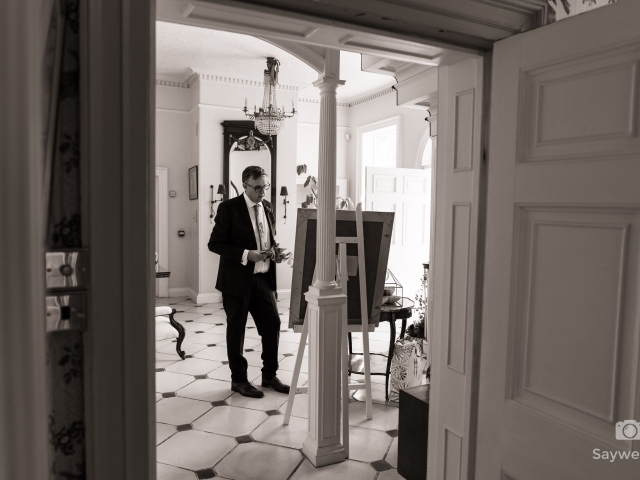 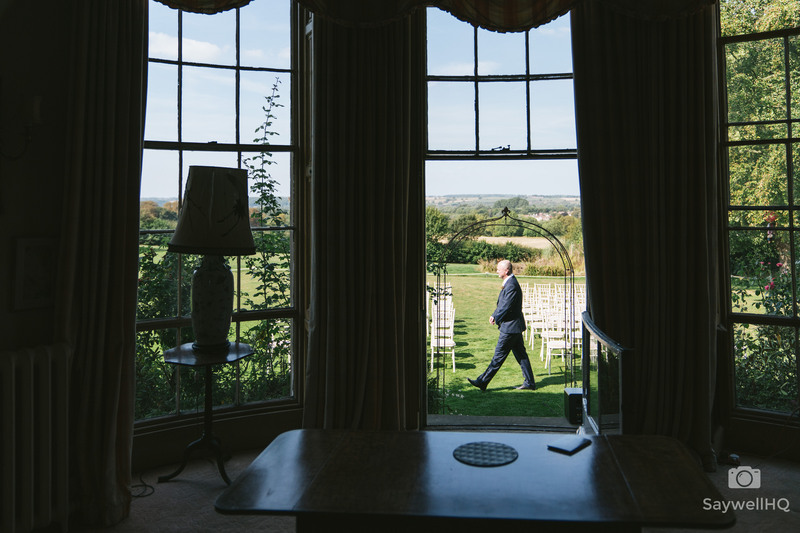 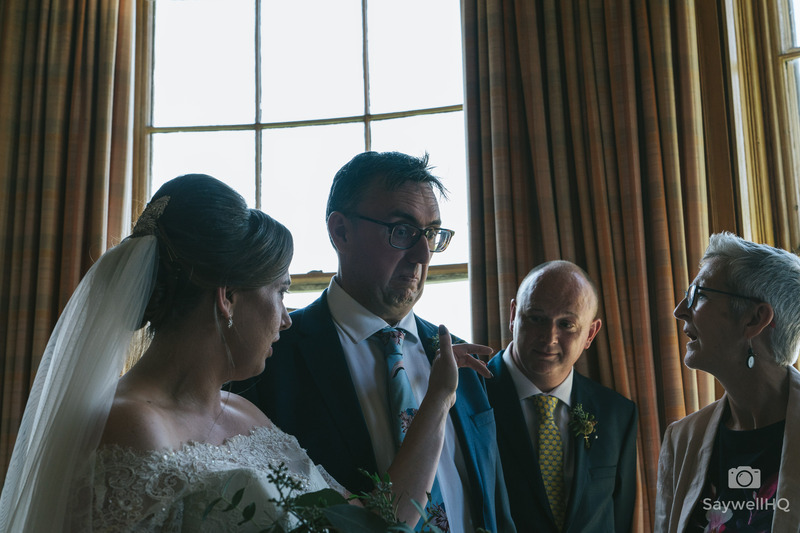 A quick word for the venue and the guys at East Bridgford Hill – the venue is really great, plenty of space, plenty of scope to have the wedding as you want. 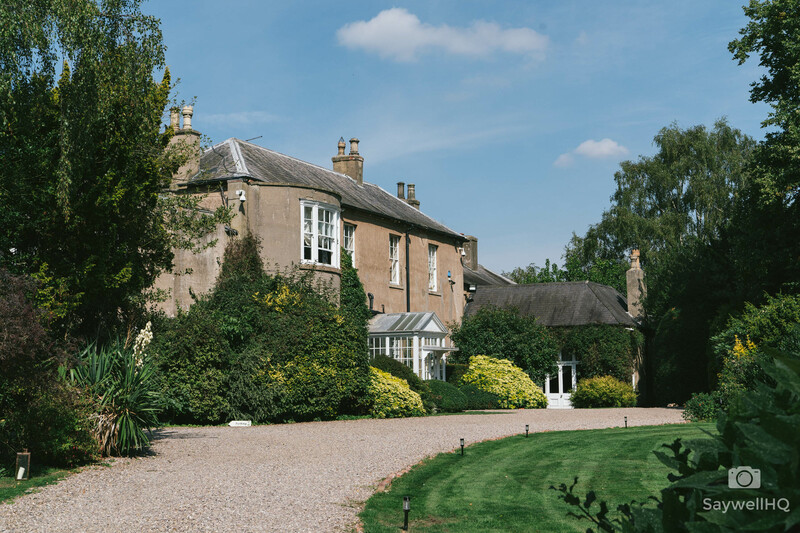 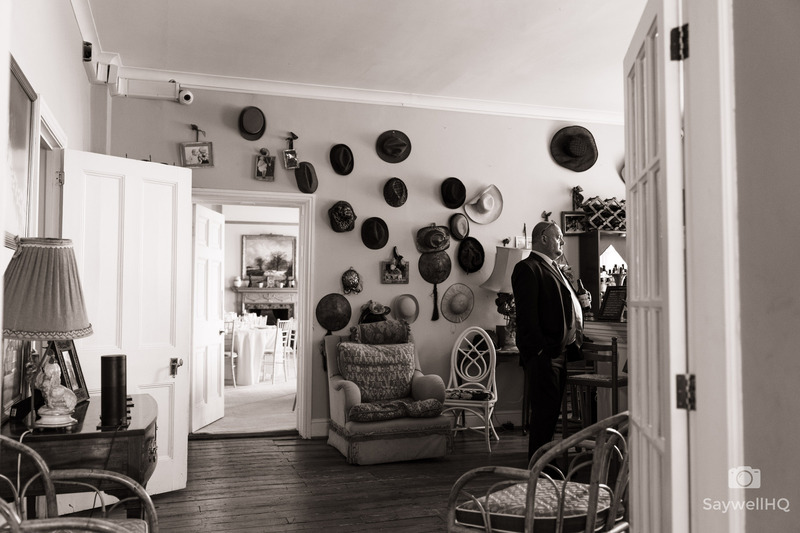 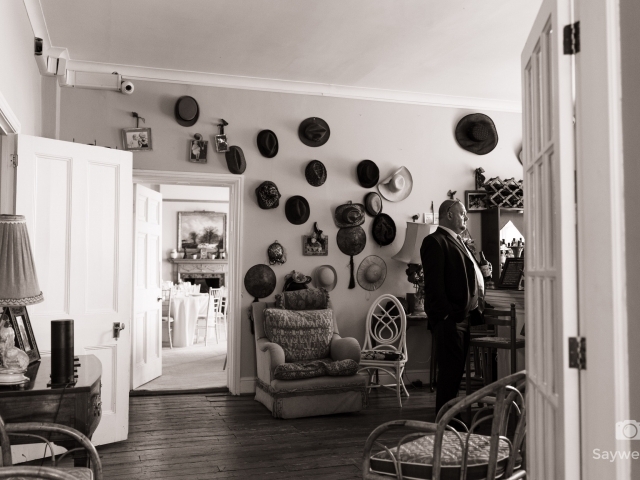 There are secret gardens, secret woods amazing rooms and the staff are all helpful and eager to make sure that you and your guests have a great time! 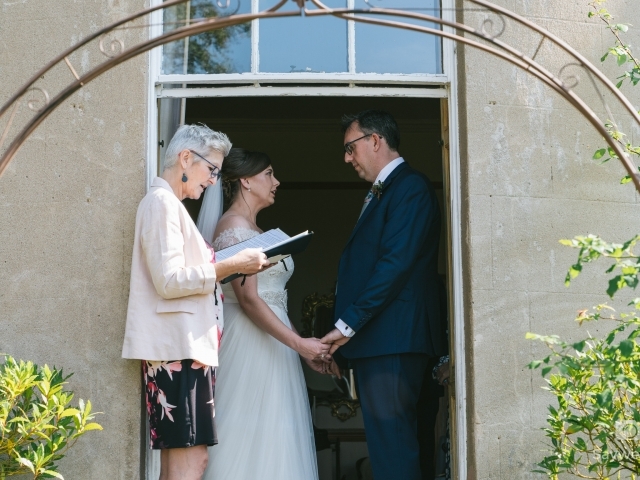 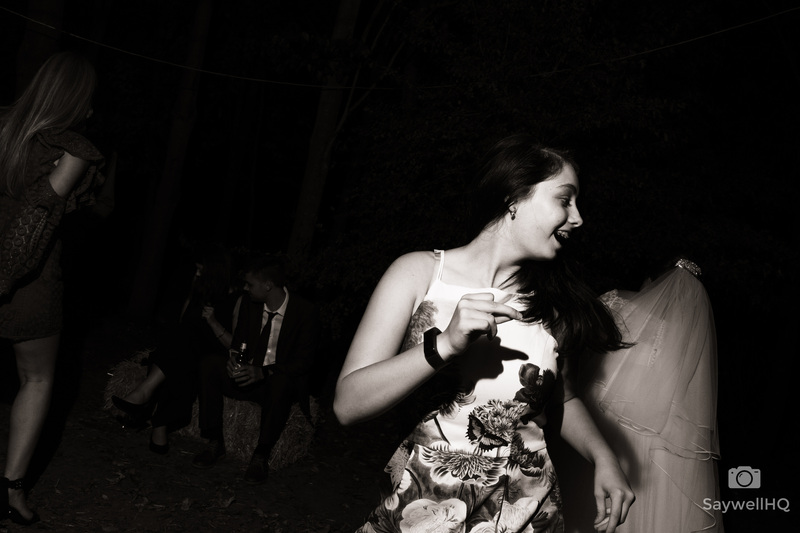 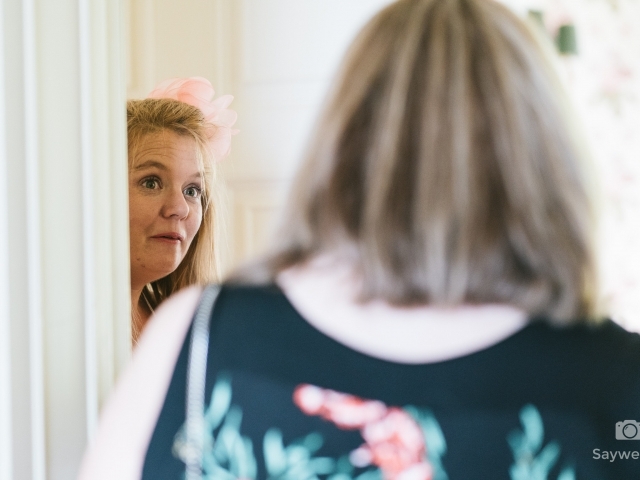 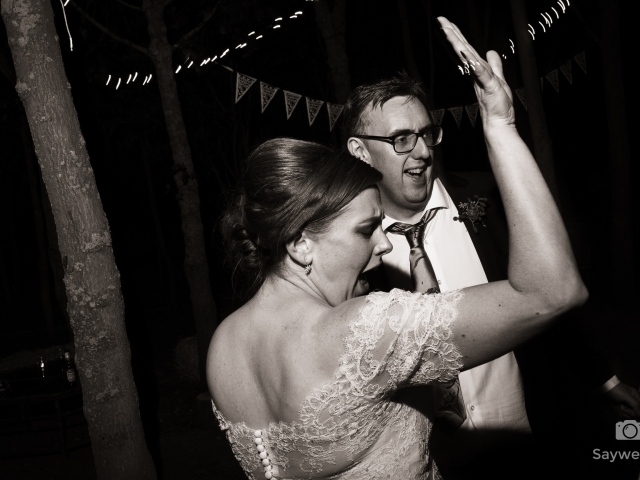 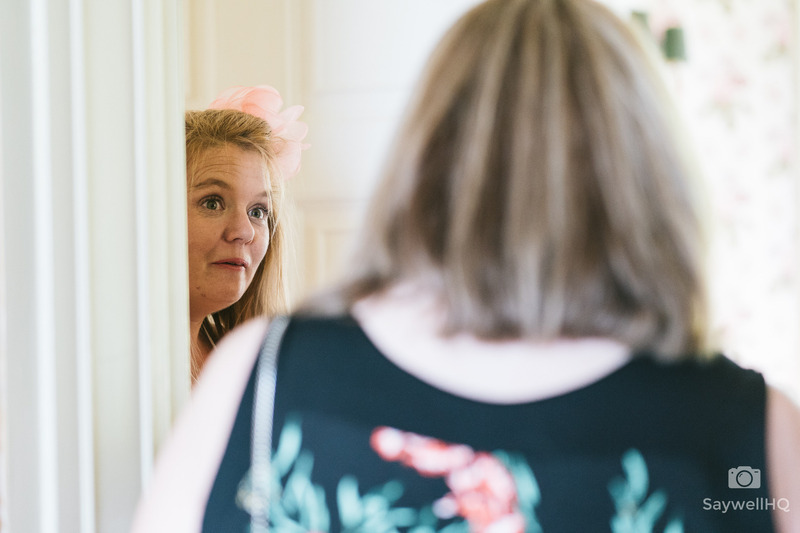 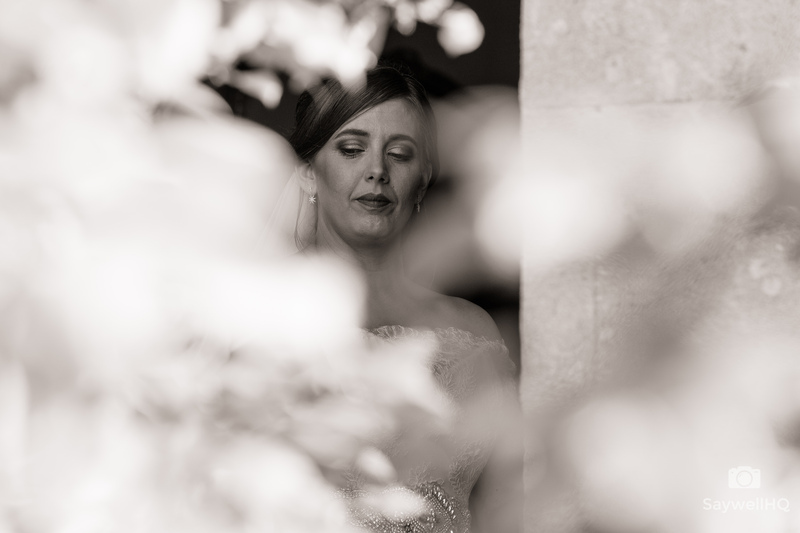 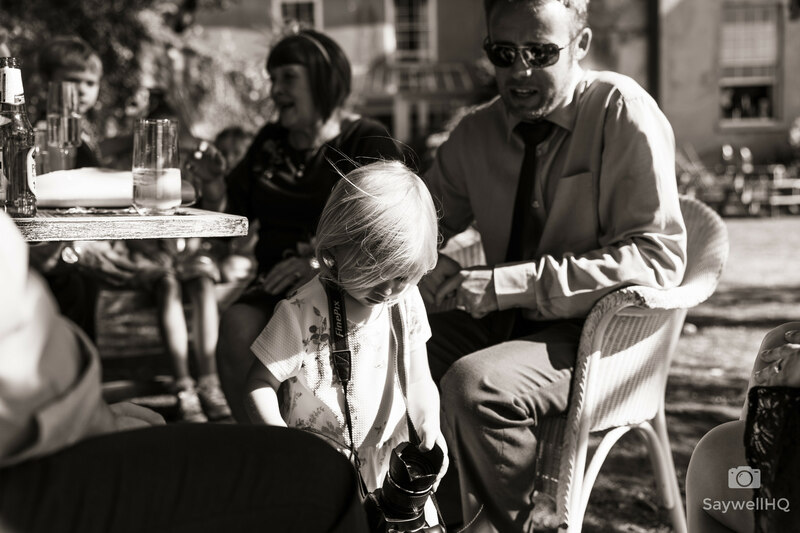 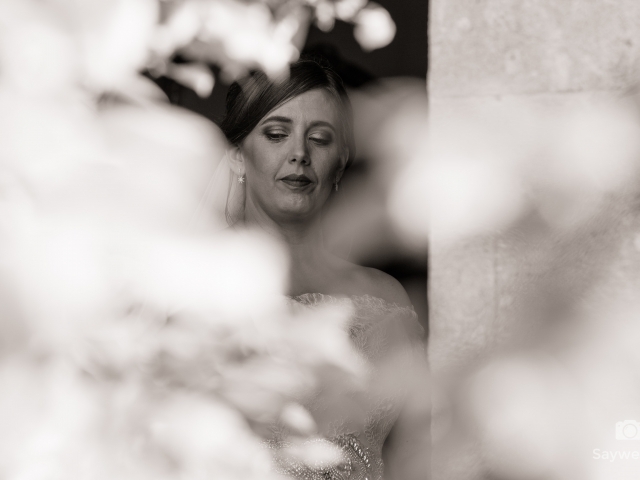 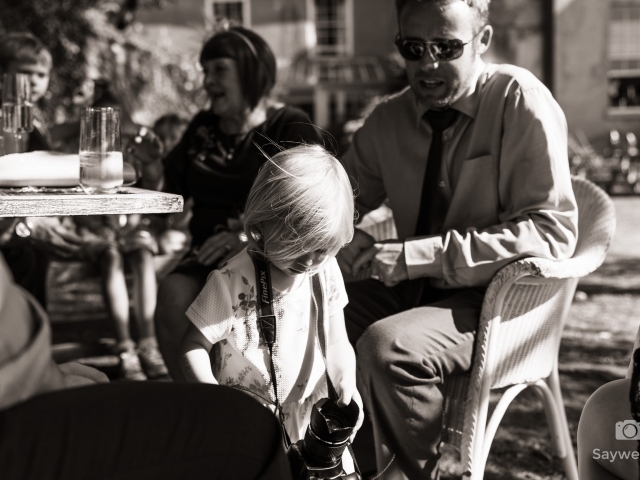 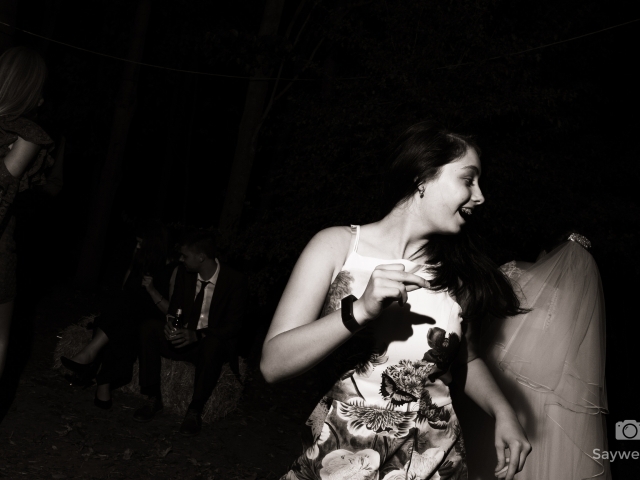 “I’ve had a genuine phobia of photos ever since I was a small child, so the thought of having someone taking photos all day for my wedding filled me with terrible anxiety. 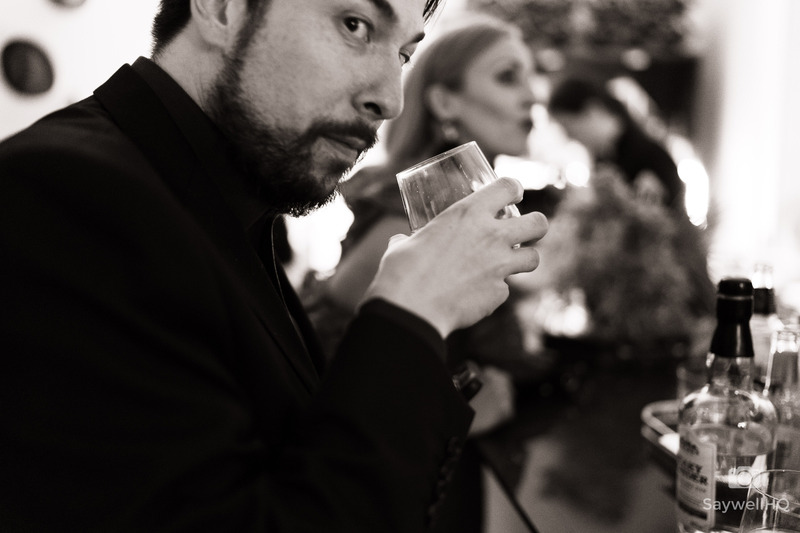 Thank god we found Andy. 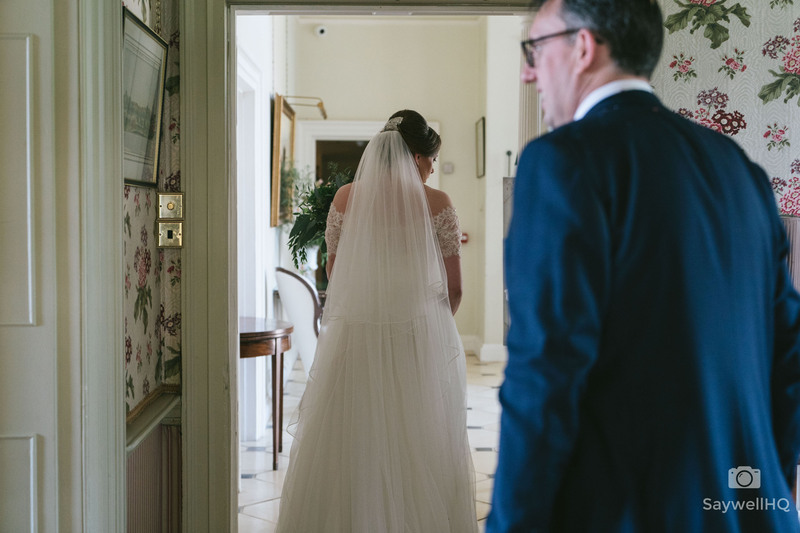 He listened to my worries and ask questions to really understand what we wanted and how to make me feel more comfortable. 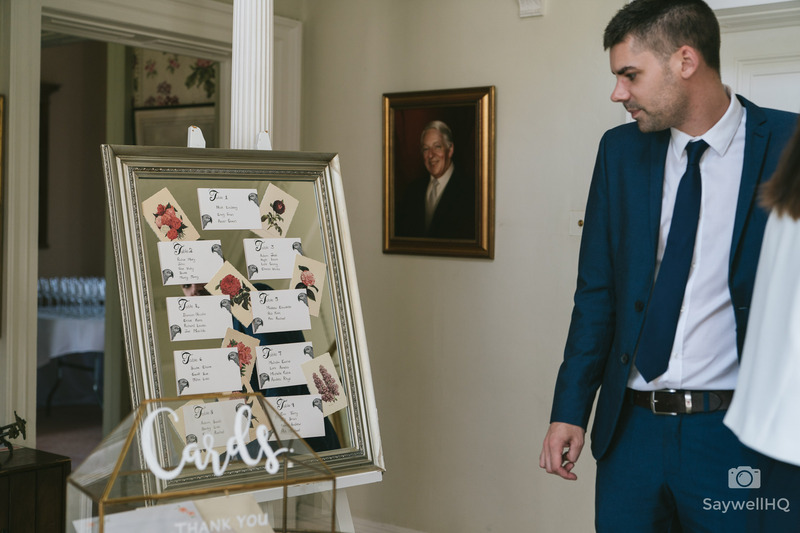 He explained the best way to organise things and was really flexible throughout the day. 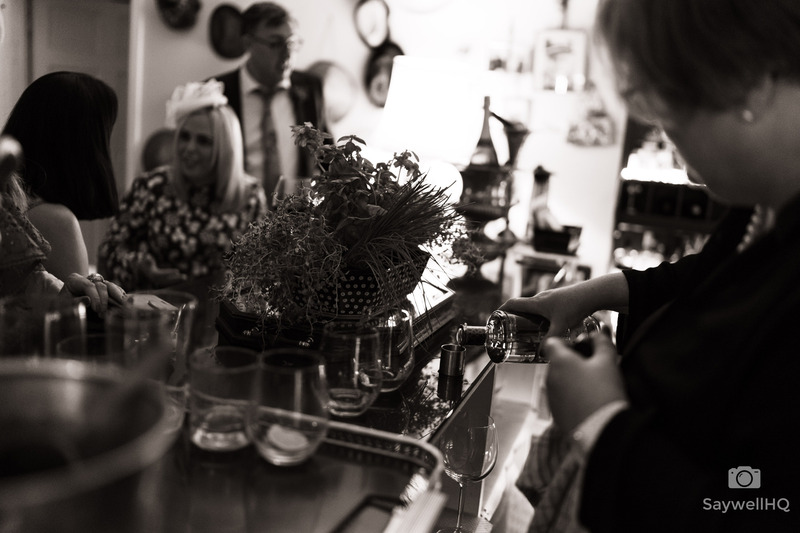 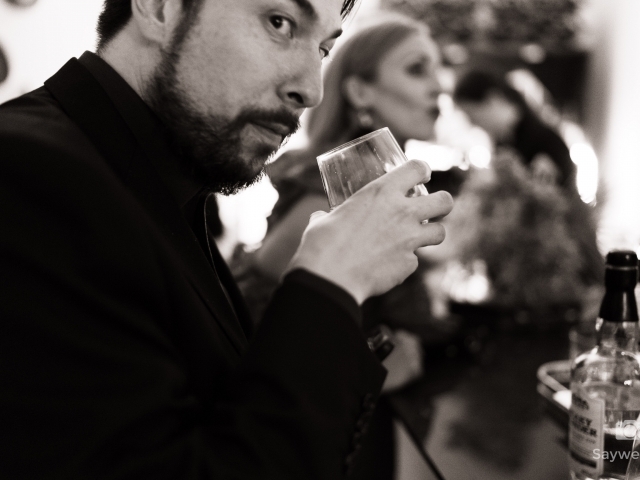 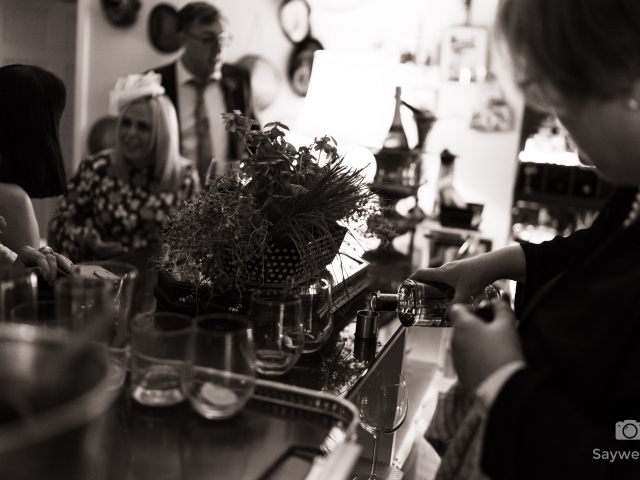 The guests thought he was great, and commented on how friendly he was and how relaxed they felt. 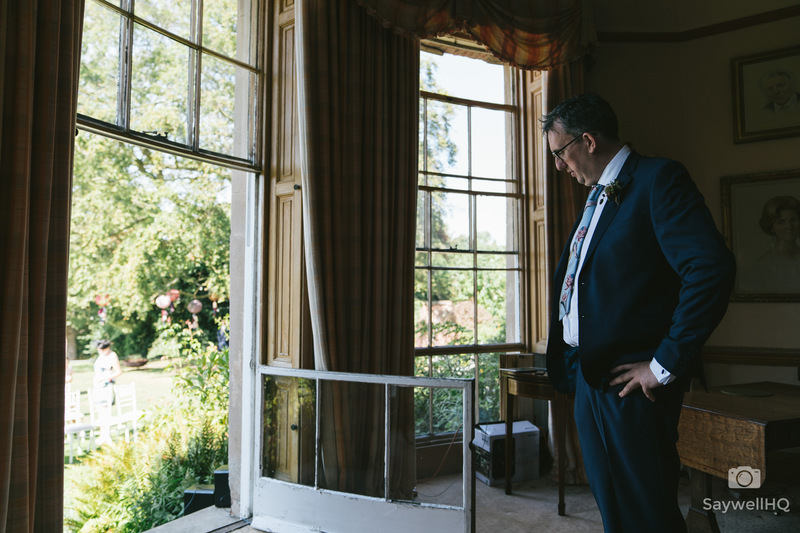 We didn’t want lots of staged photos but there was no fear of missing people out, as we discovered. 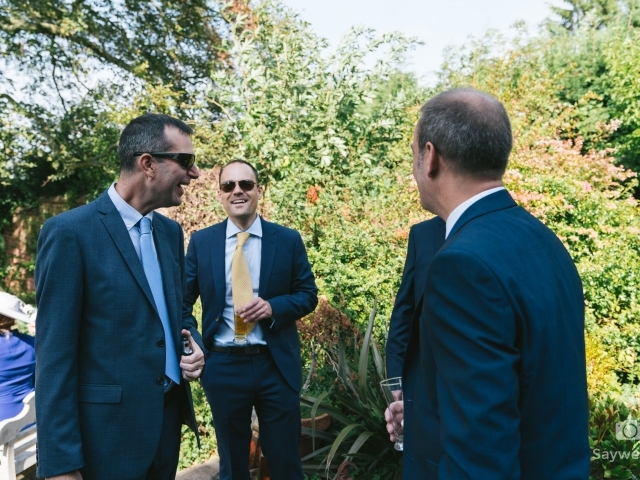 Andy had taken loads of candid shots, all of our friends and family were there, not posing or standing awkwardly, but laughing, talking and being themselves. 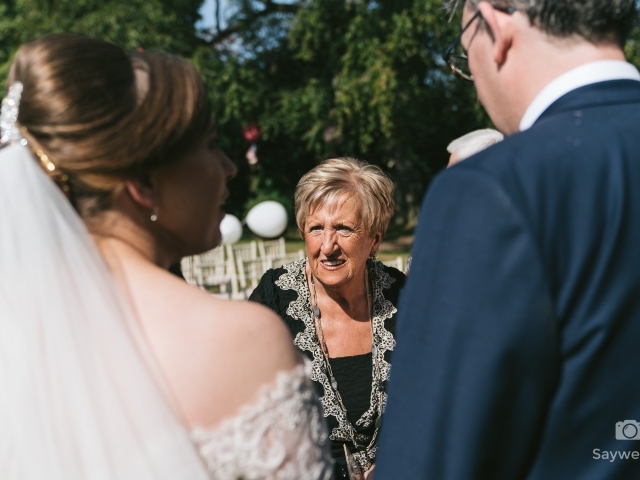 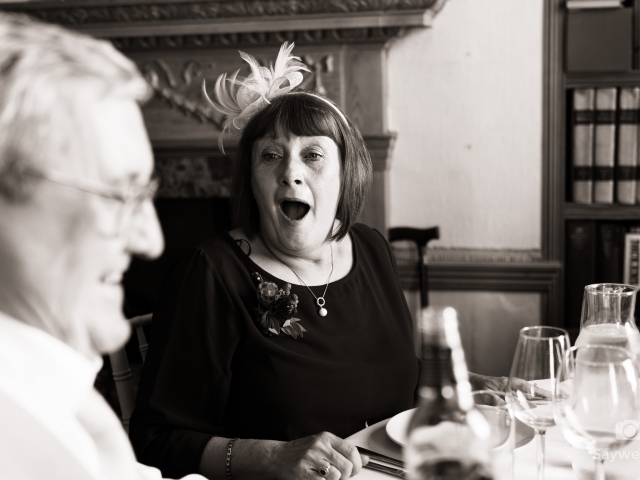 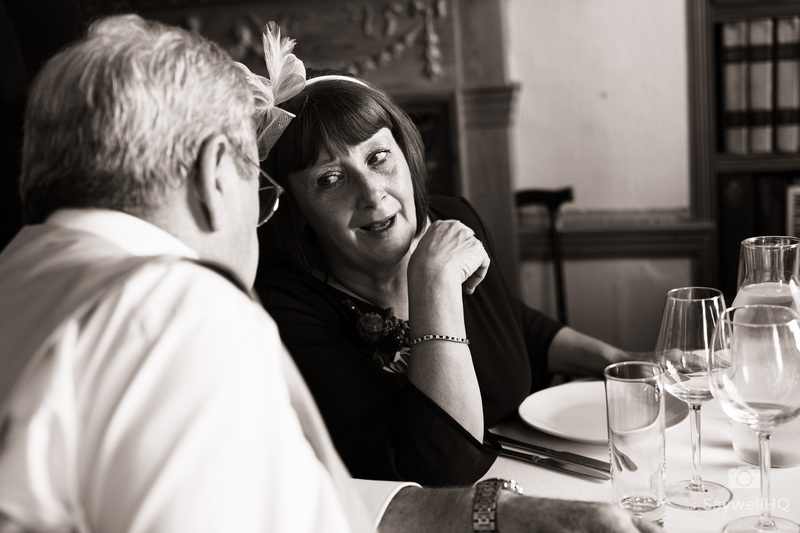 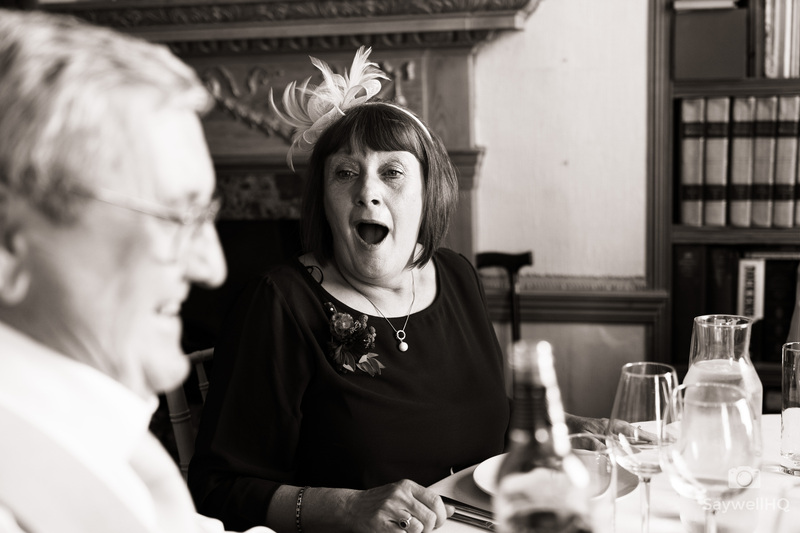 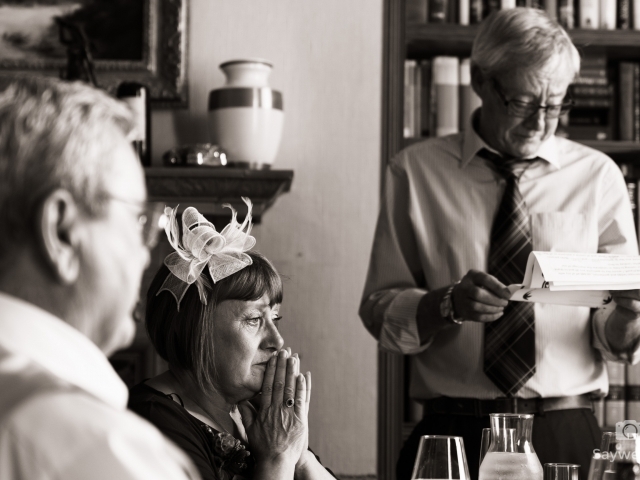 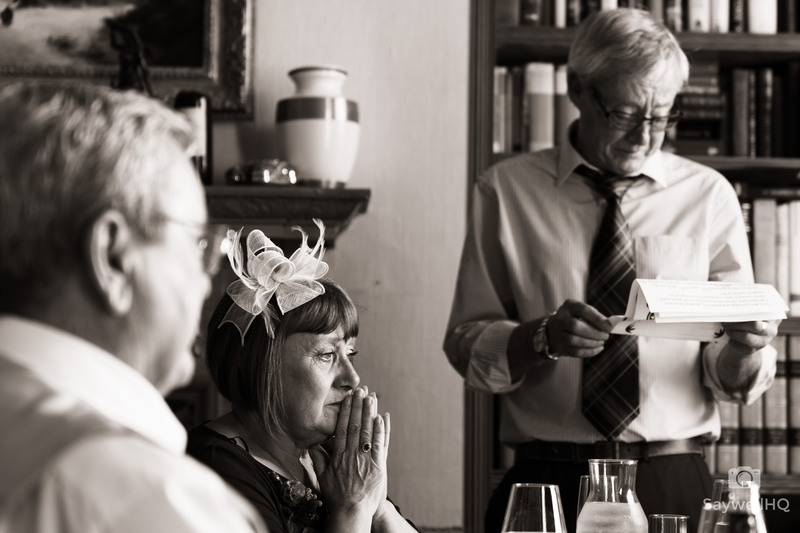 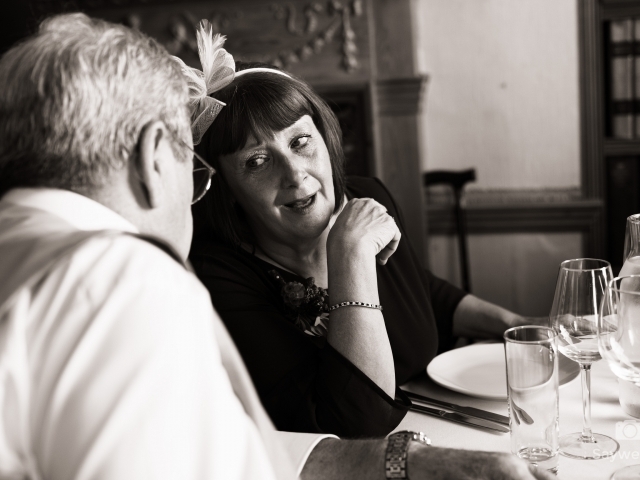 Andy really was amazing at capturing moments we might have missed, in fact, there is one photo of my parents that I will treasure forever. 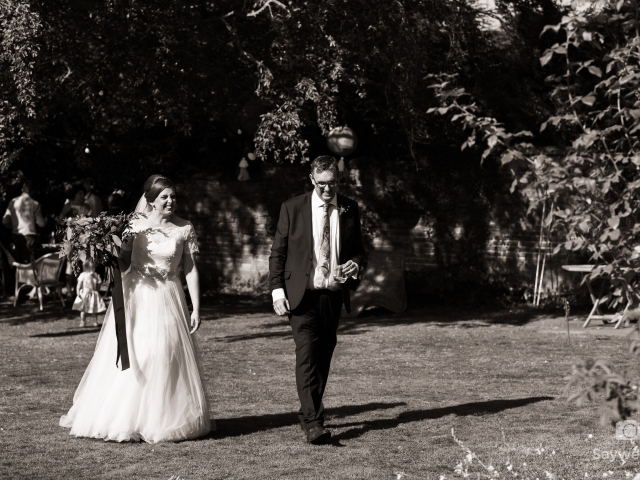 I may not have been the easiest bride for Andy, but I may just be the most impressed.